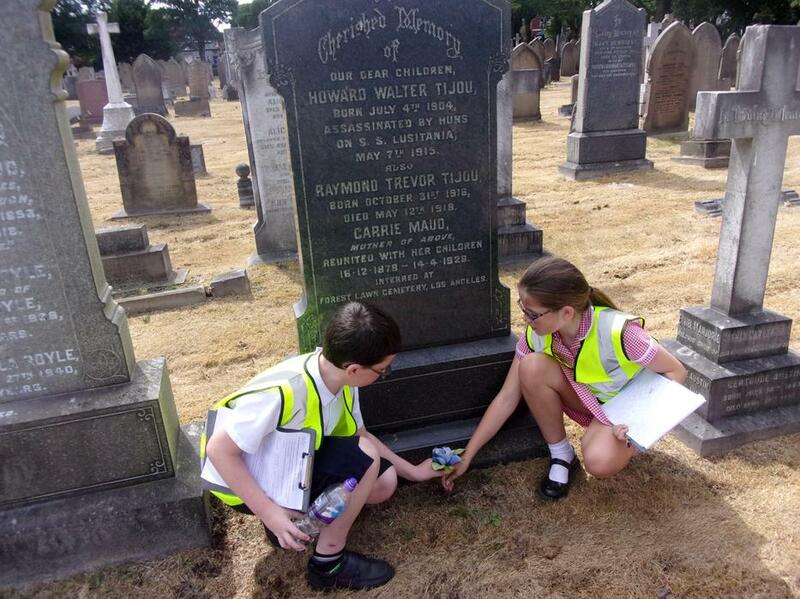 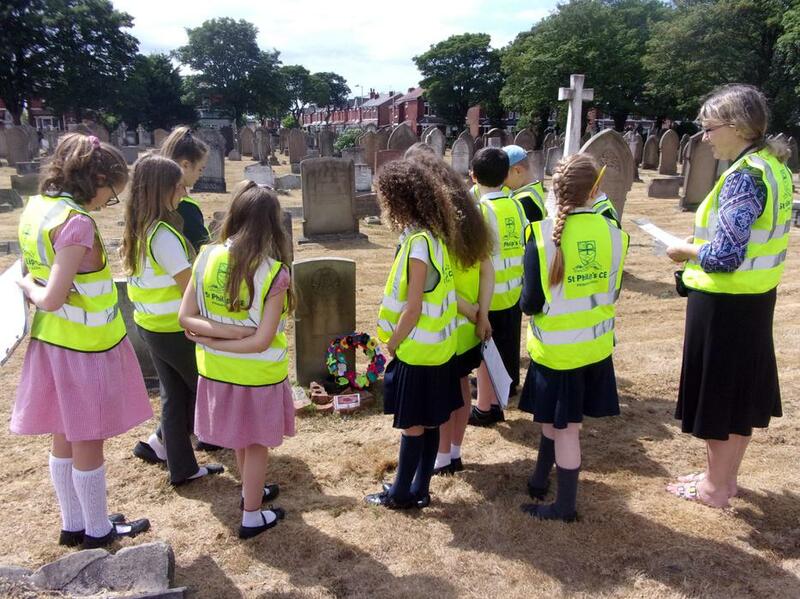 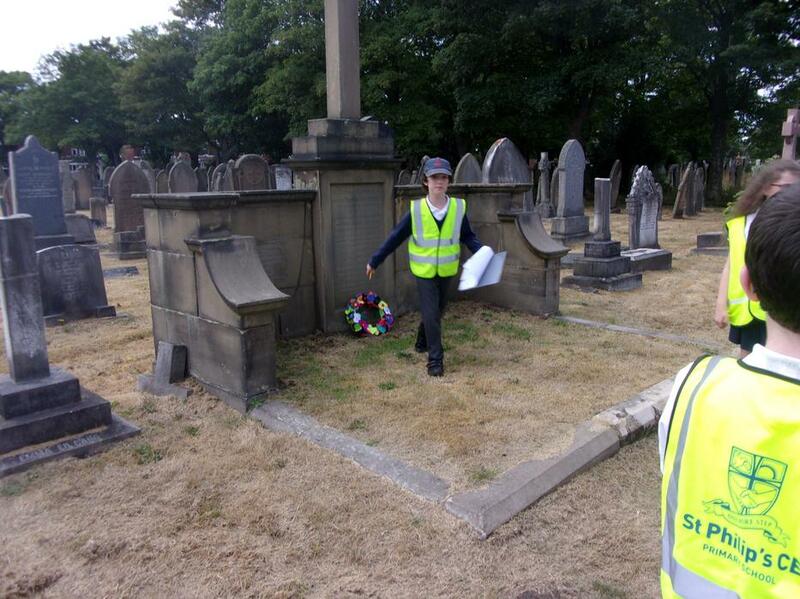 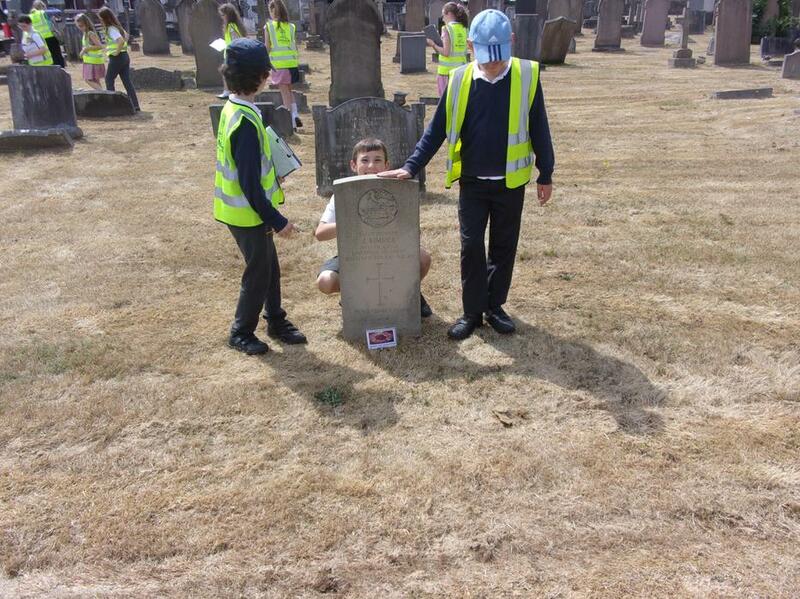 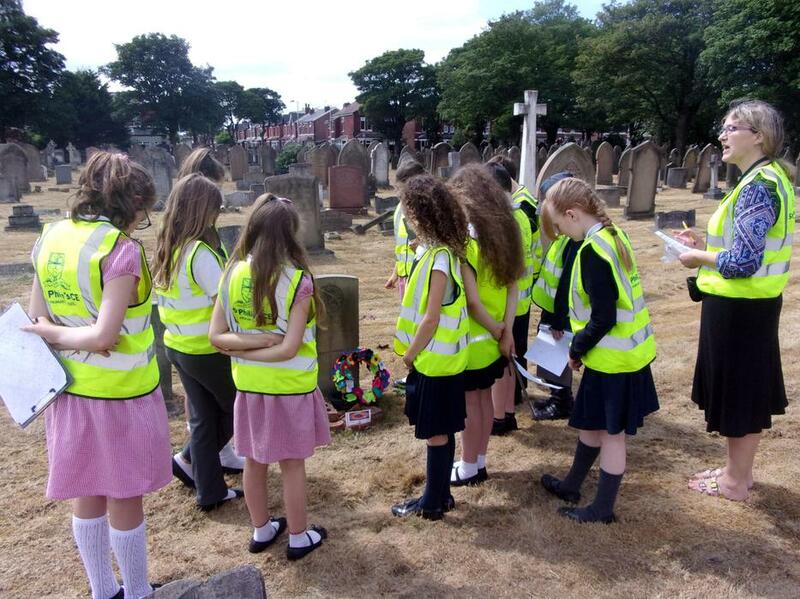 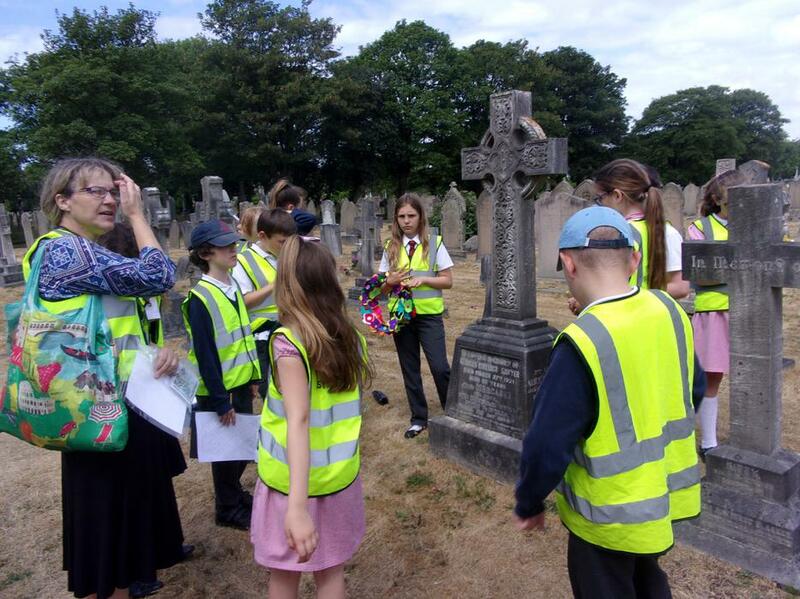 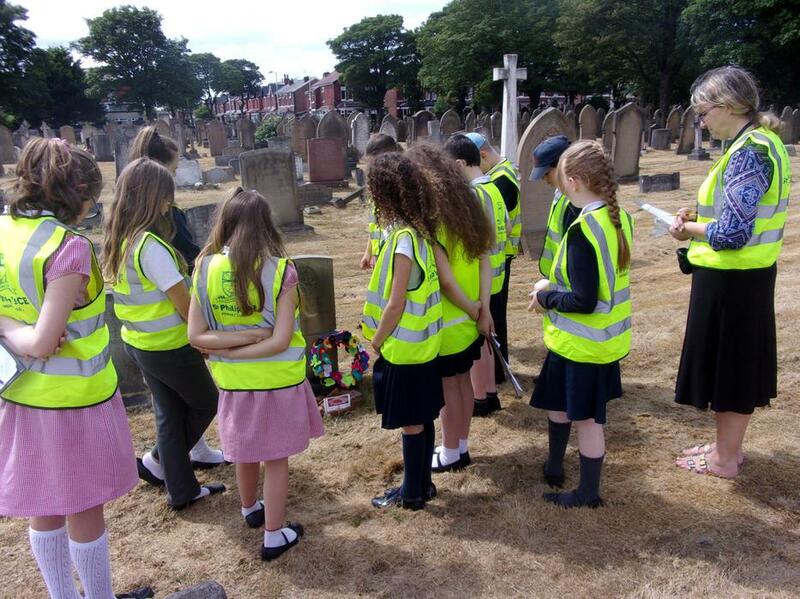 History Ambassadors visit more graves to honour those in the Labour Corps and RAF of World War one. 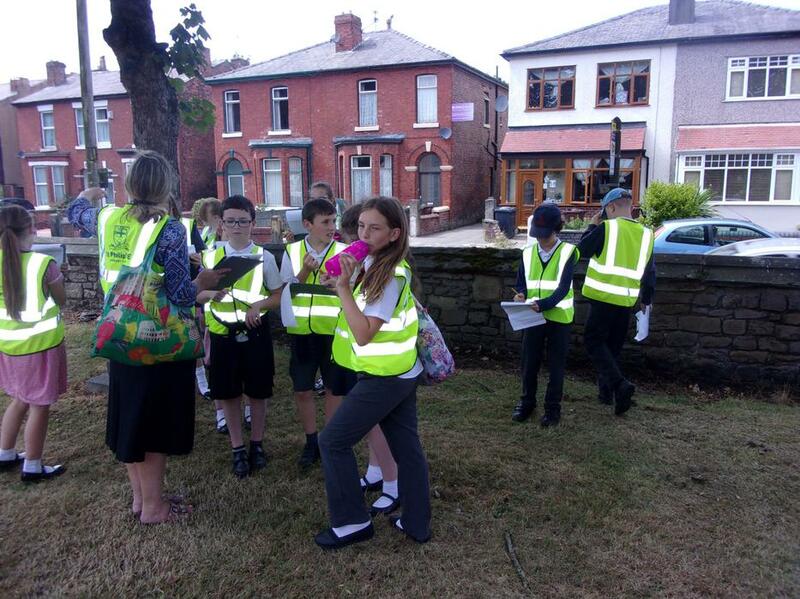 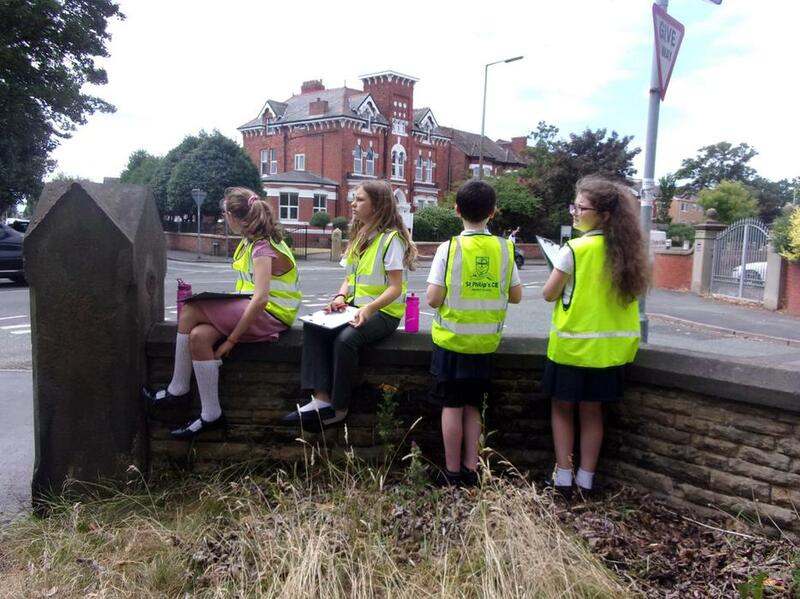 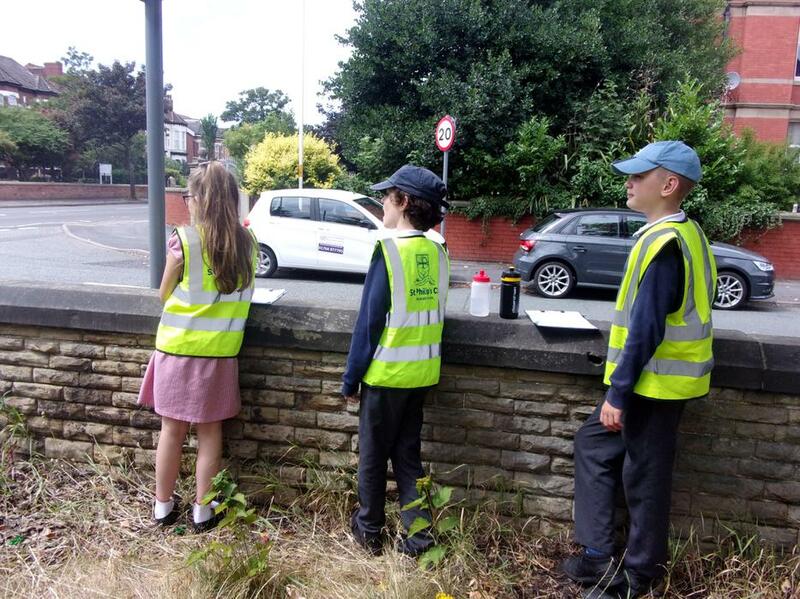 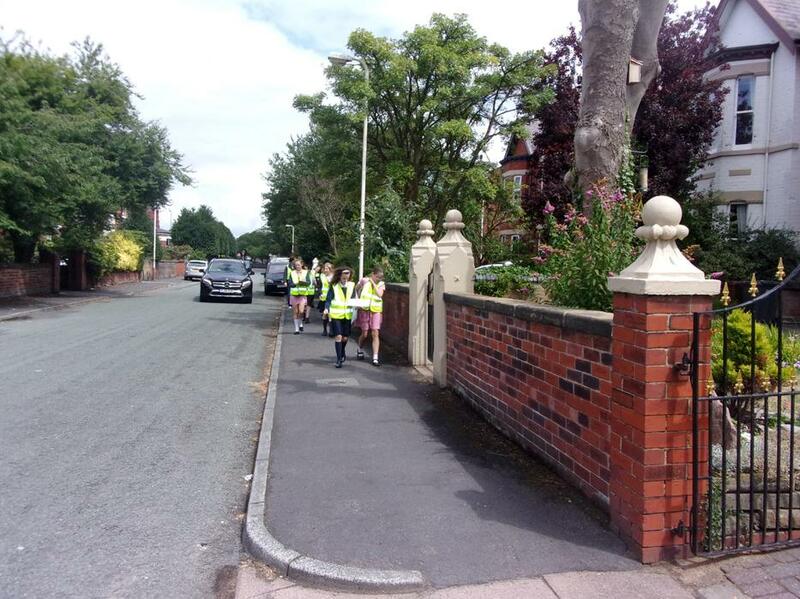 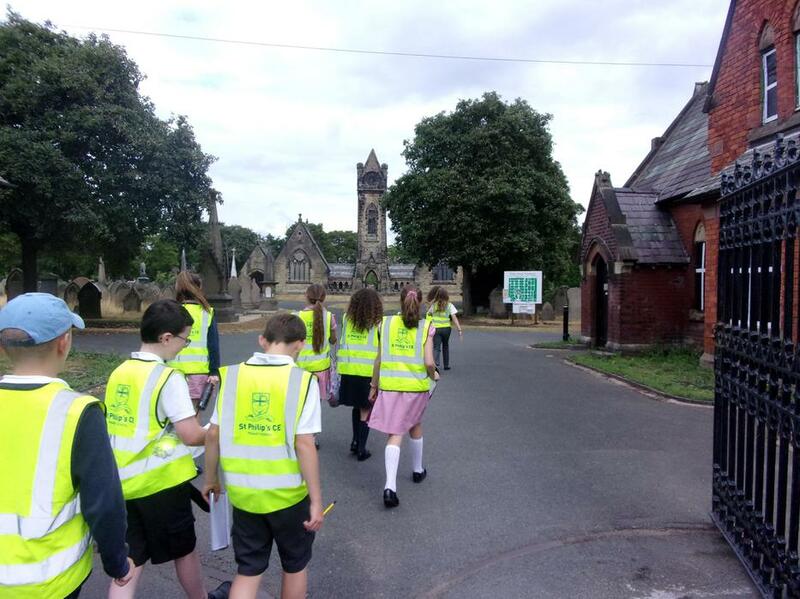 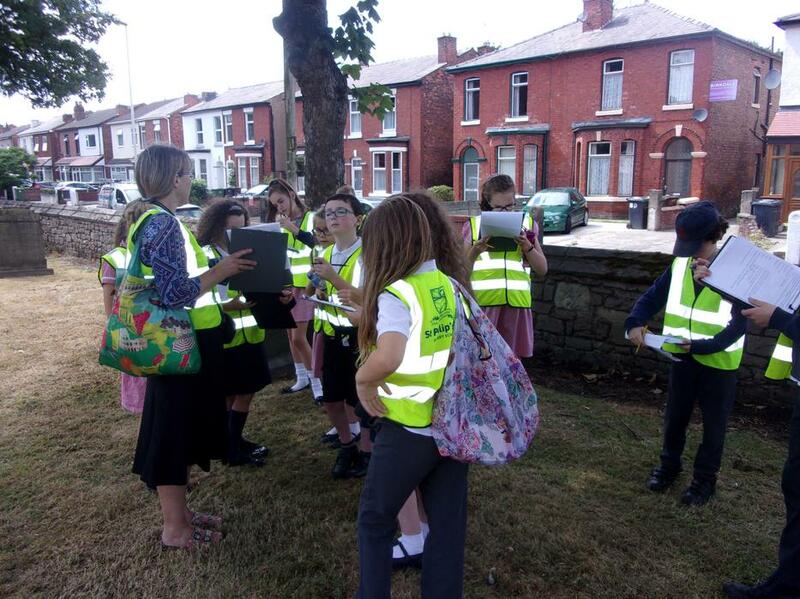 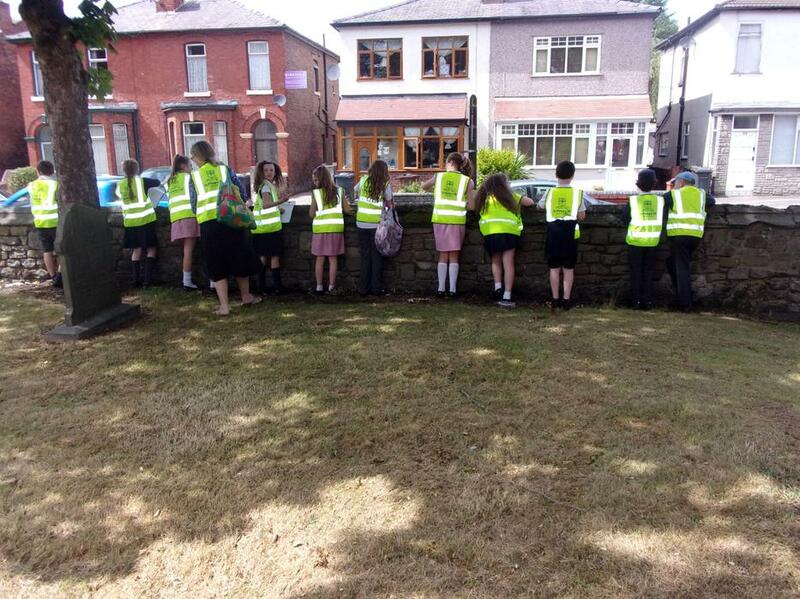 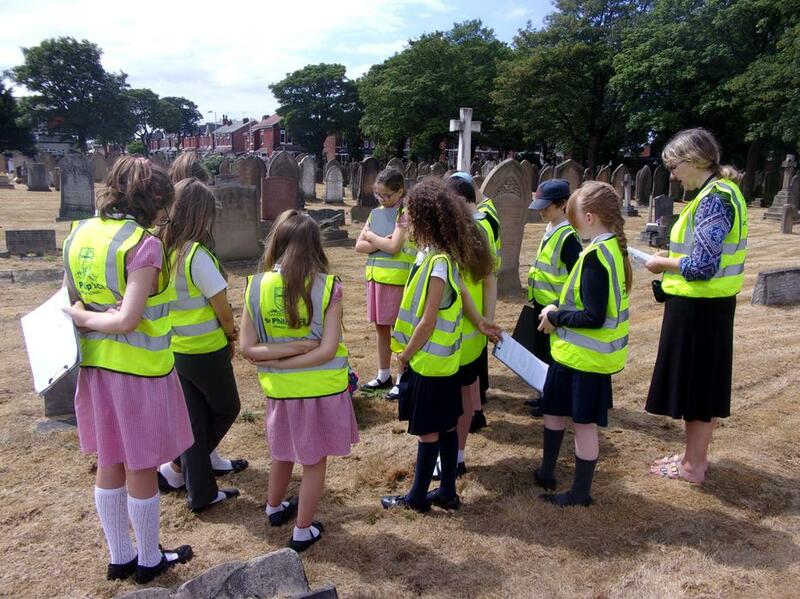 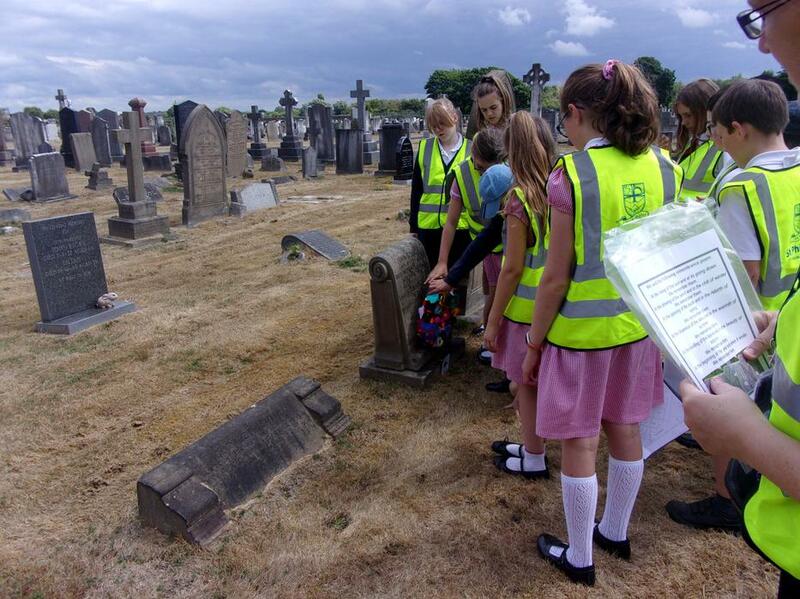 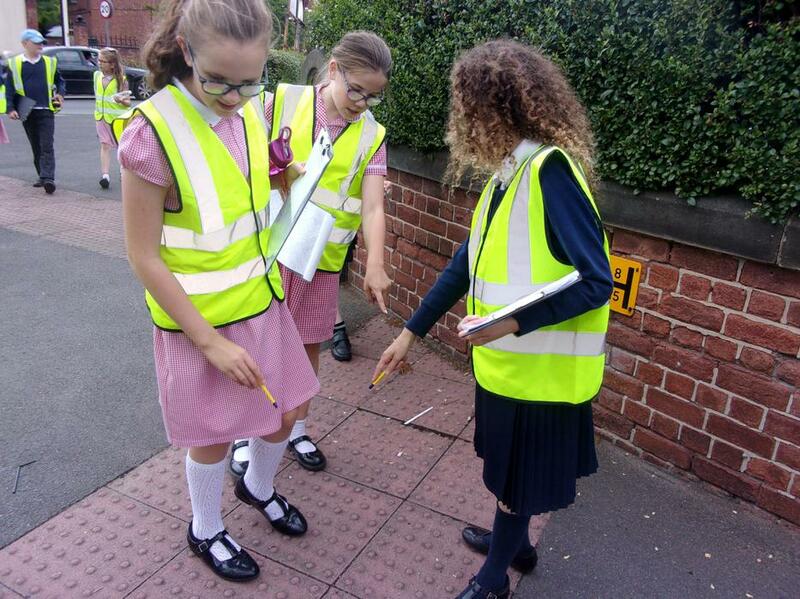 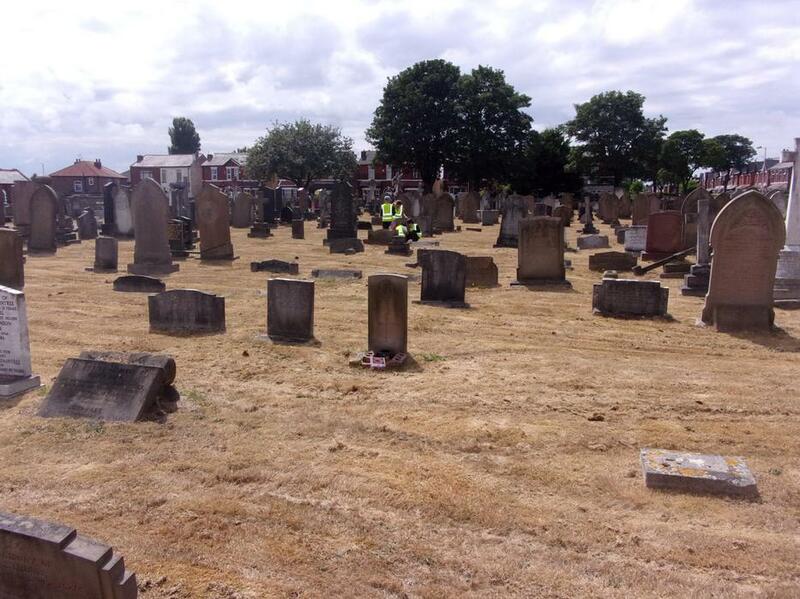 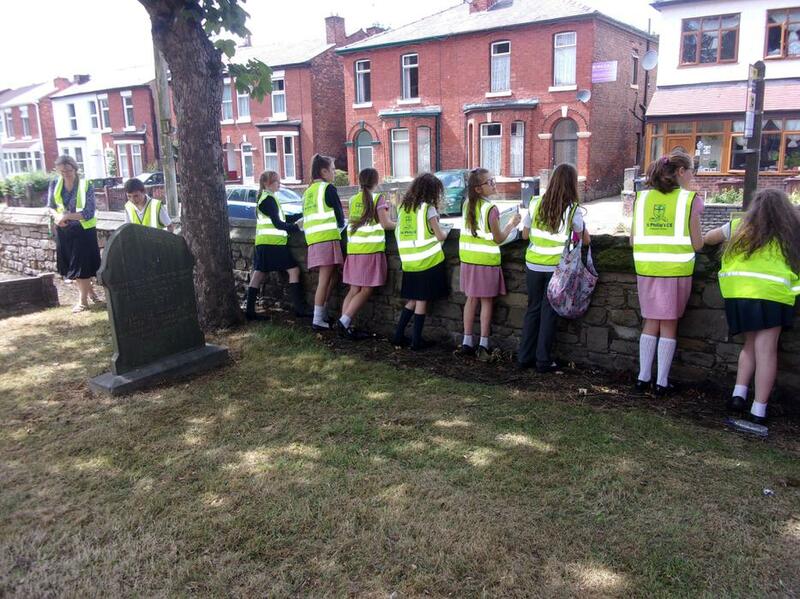 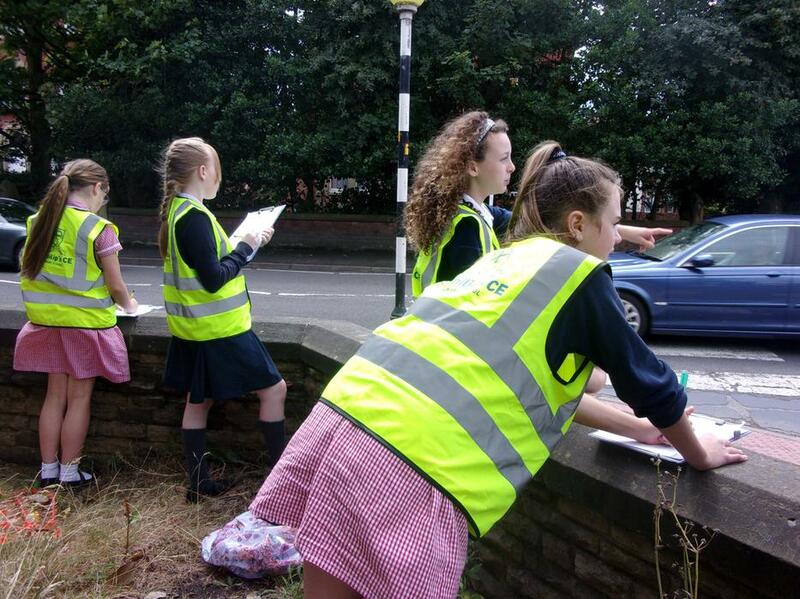 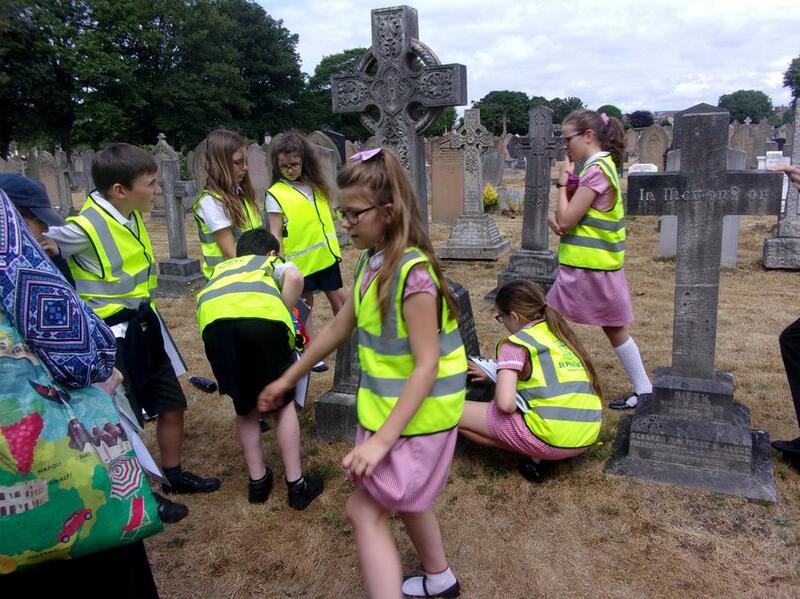 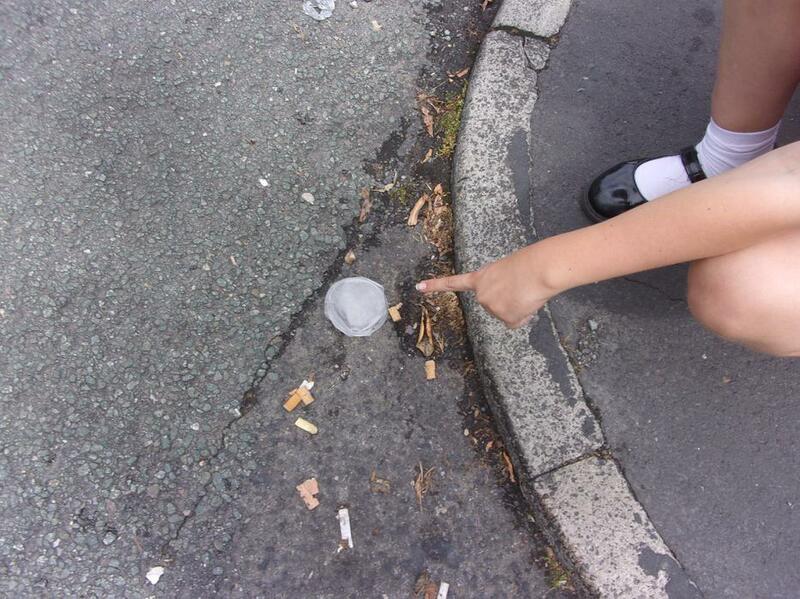 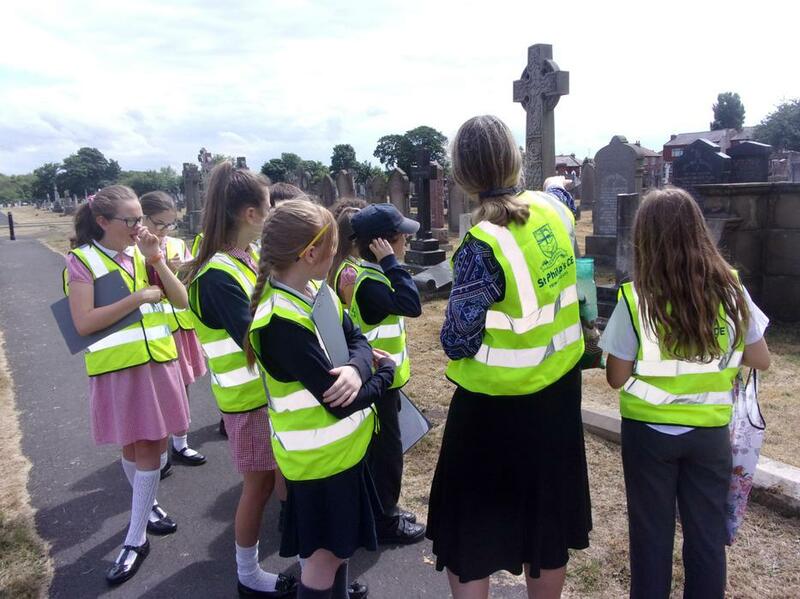 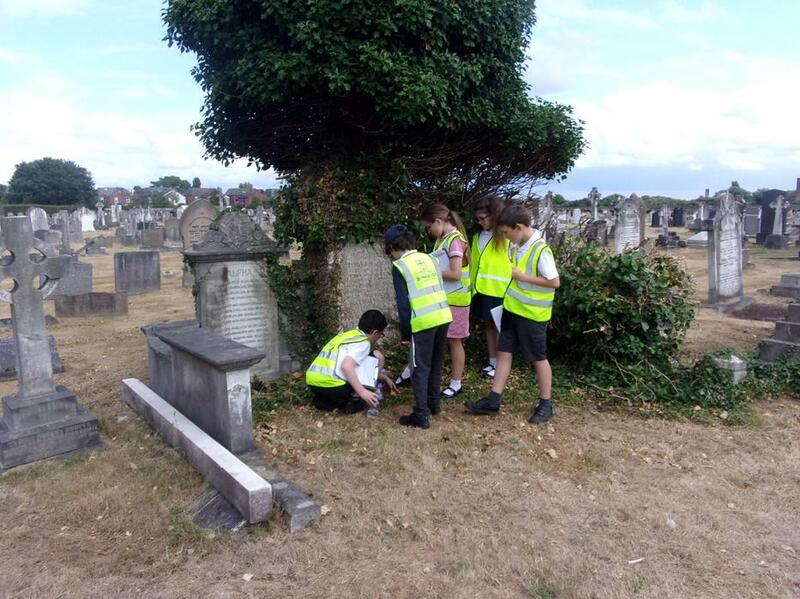 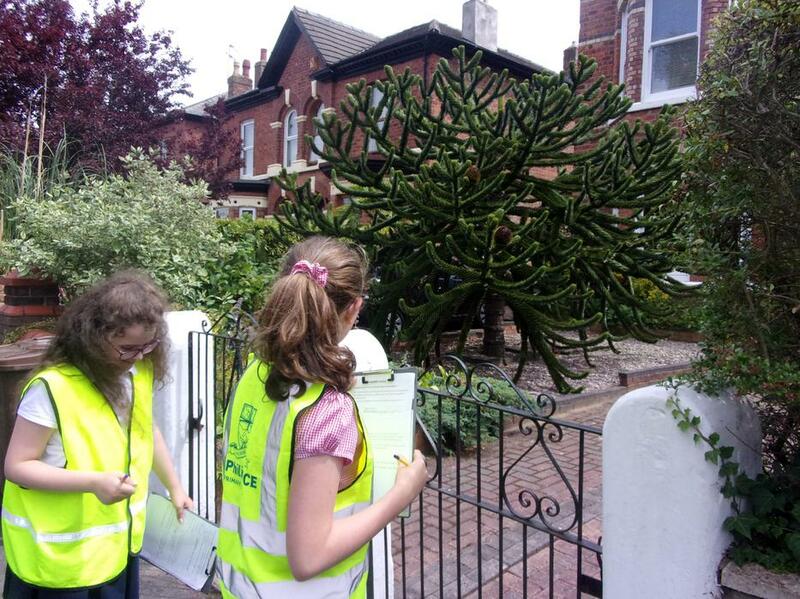 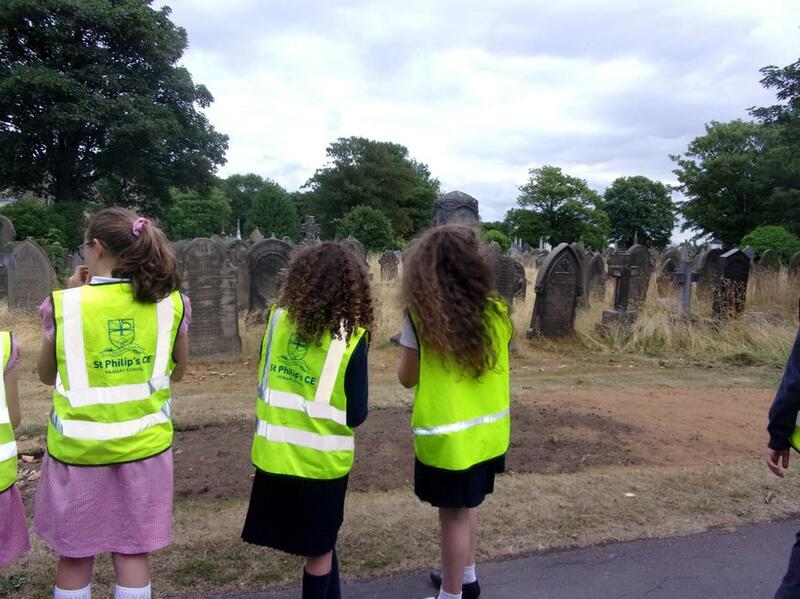 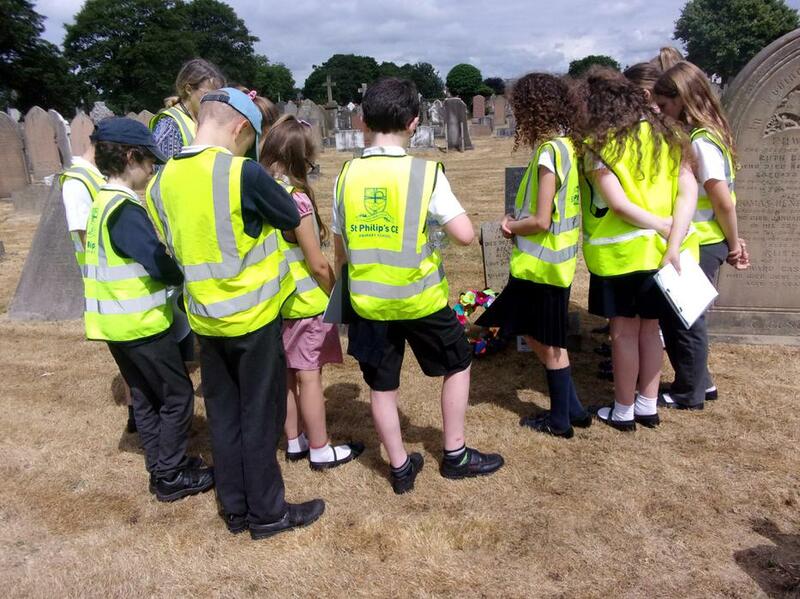 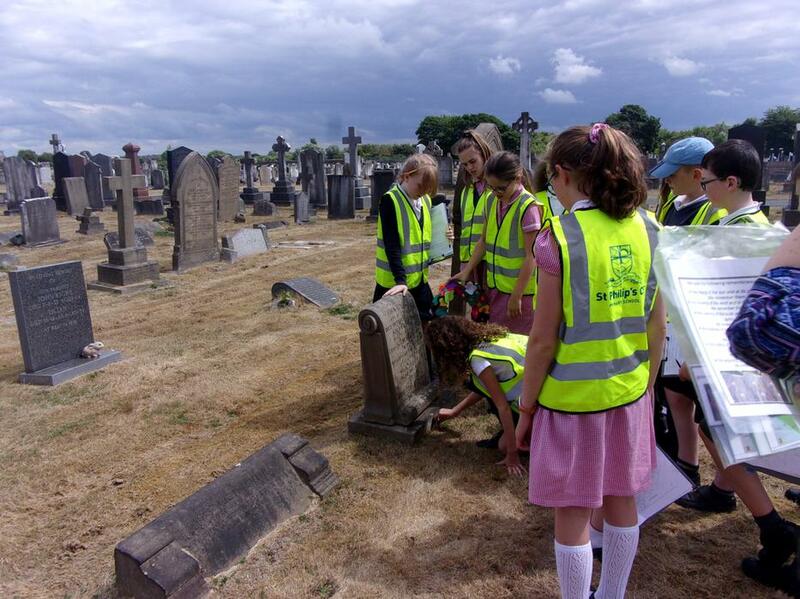 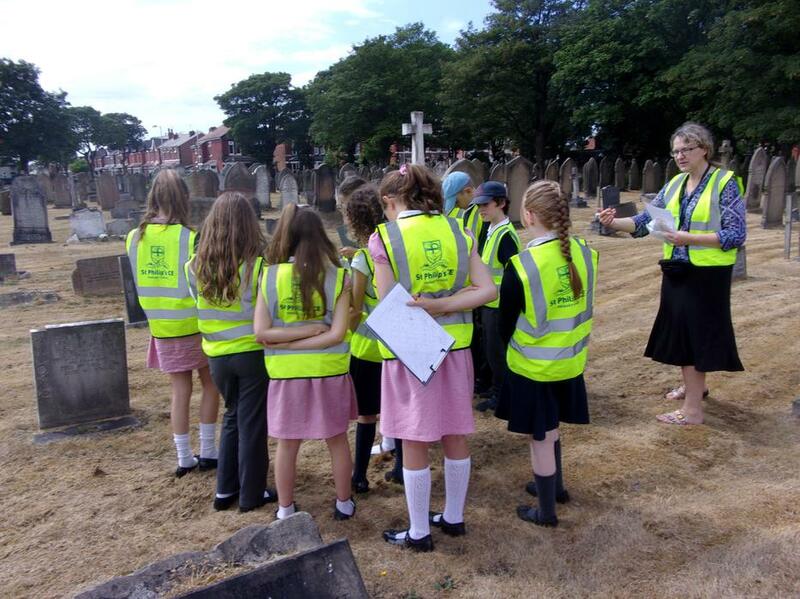 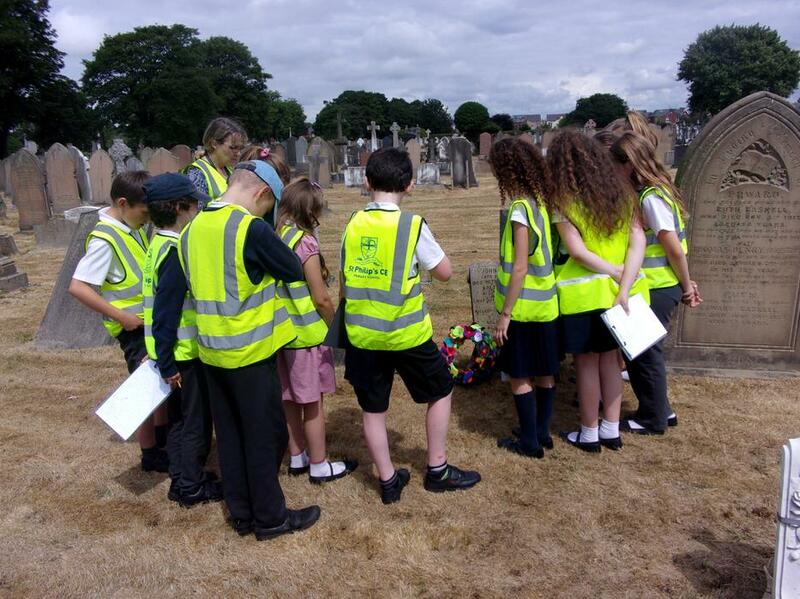 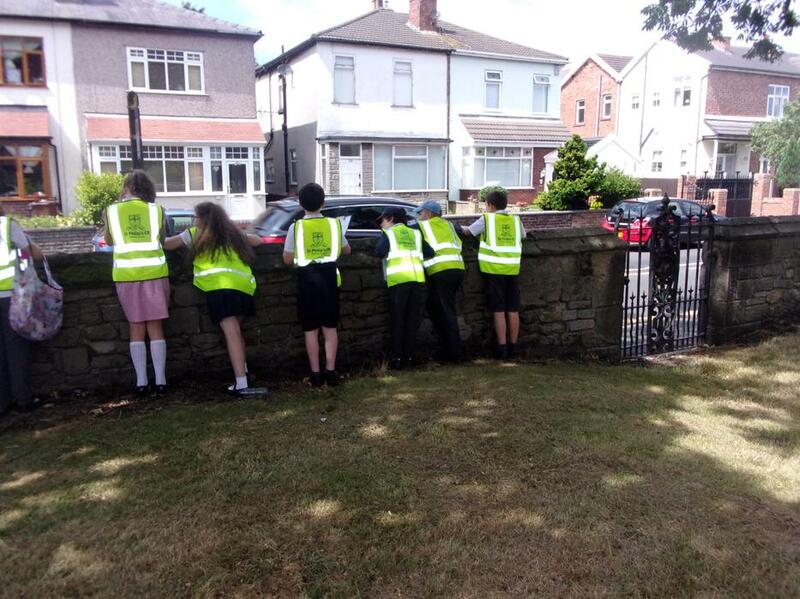 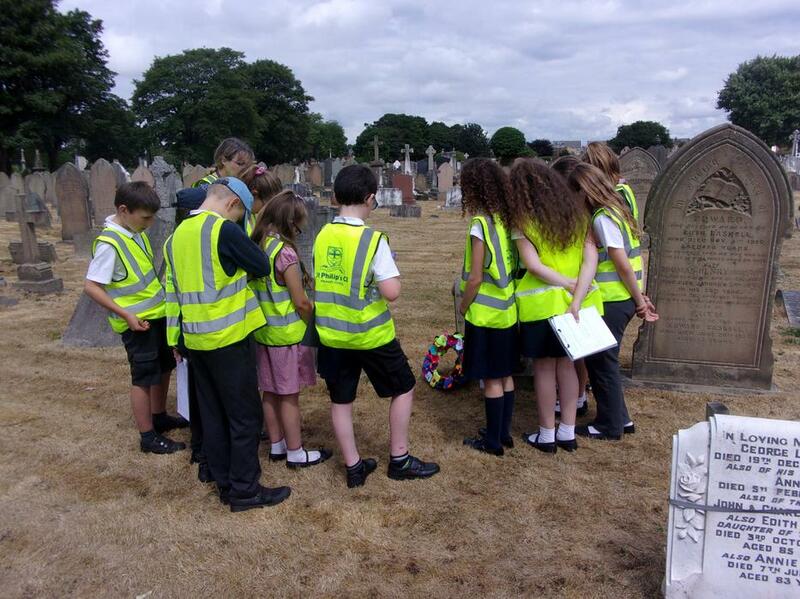 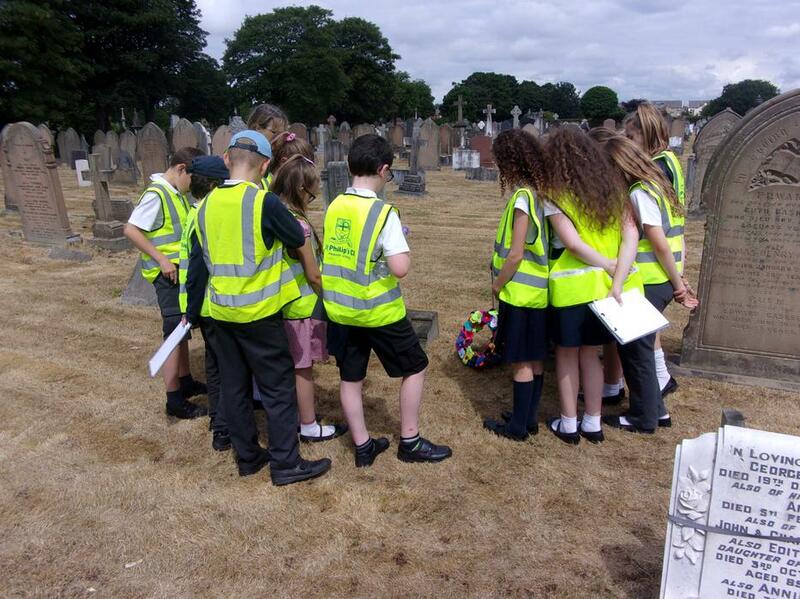 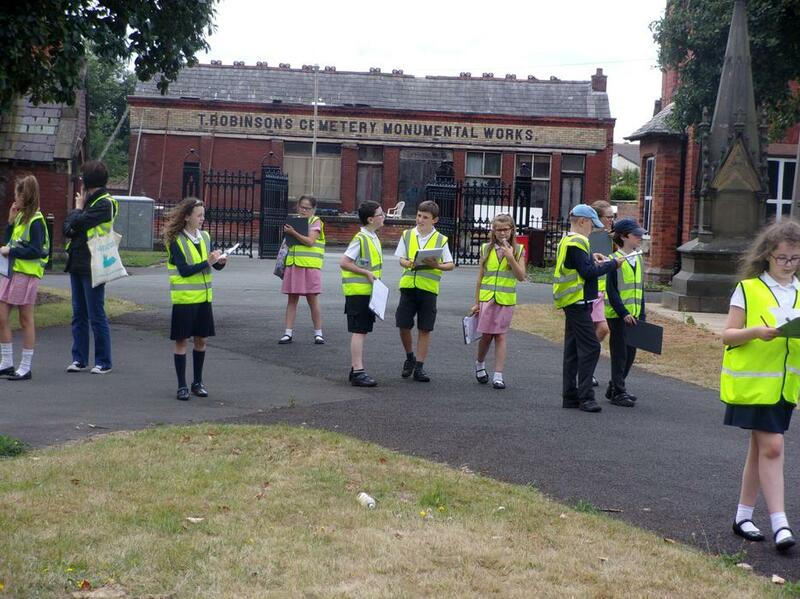 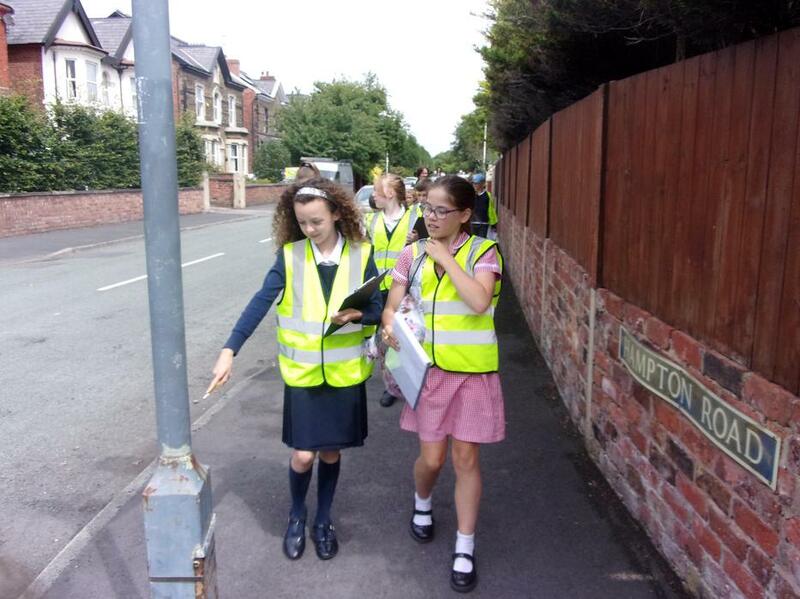 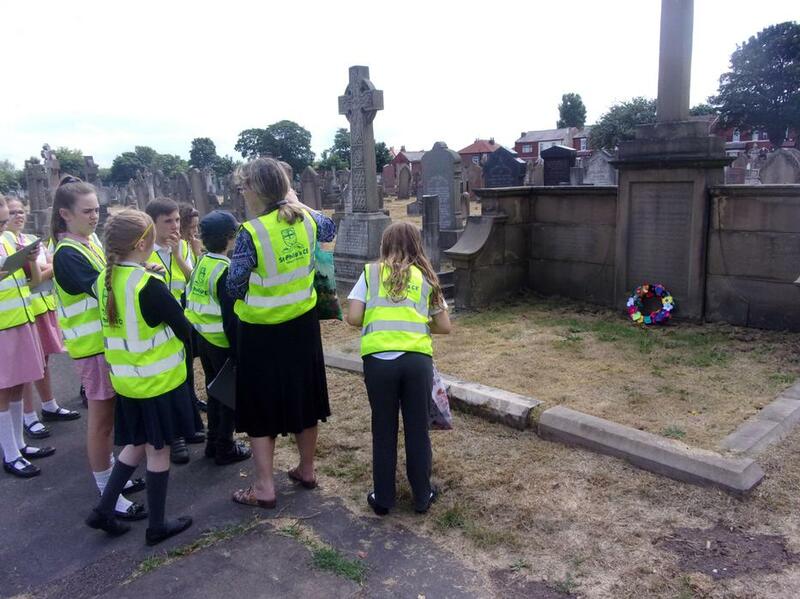 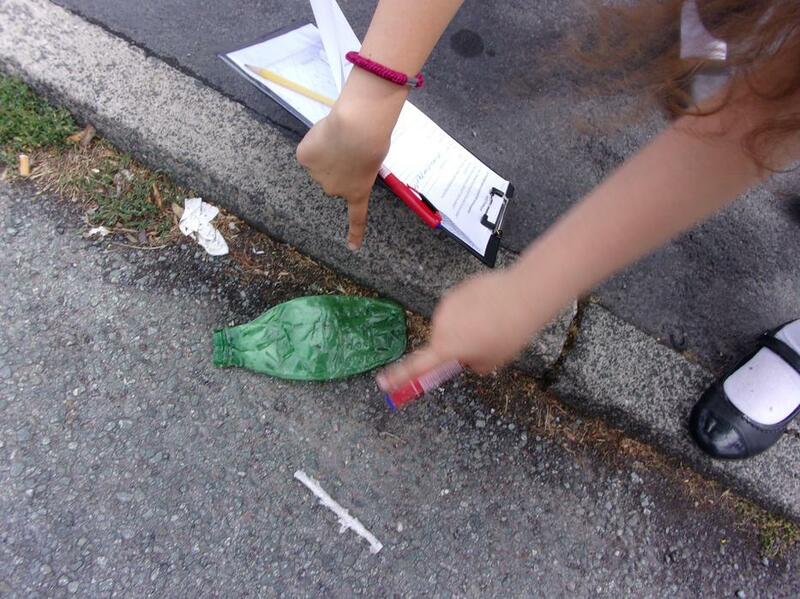 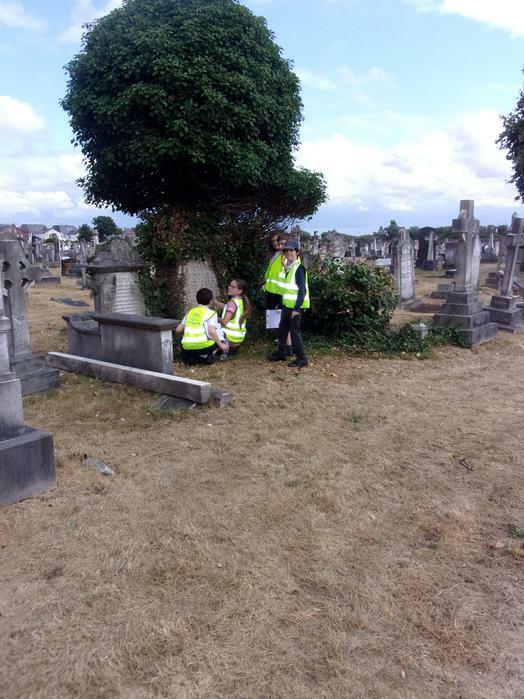 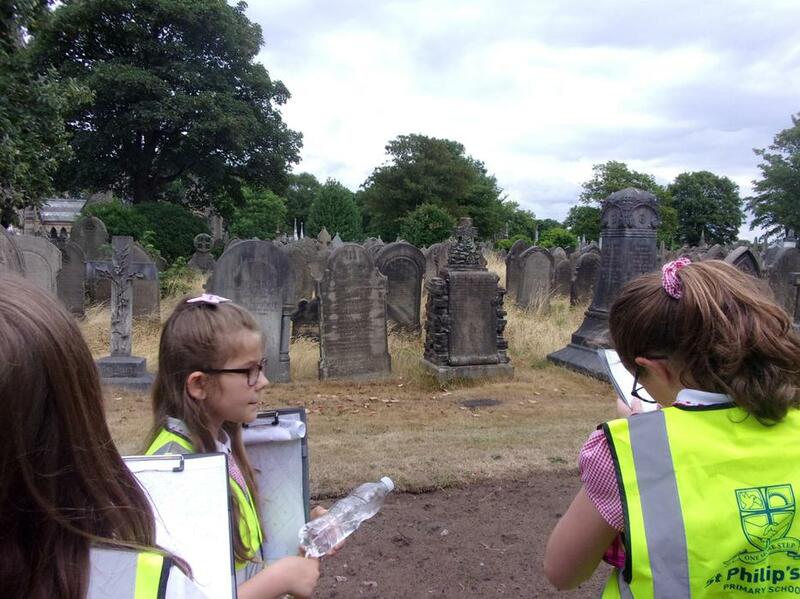 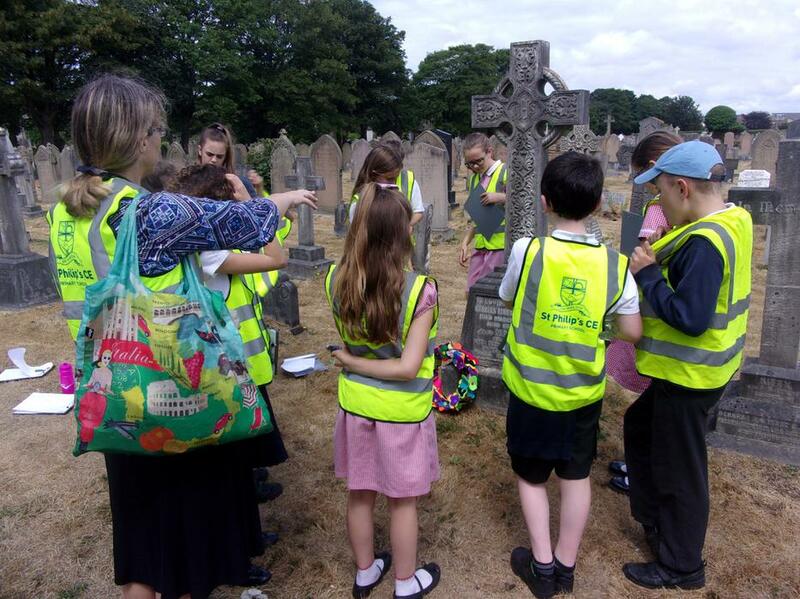 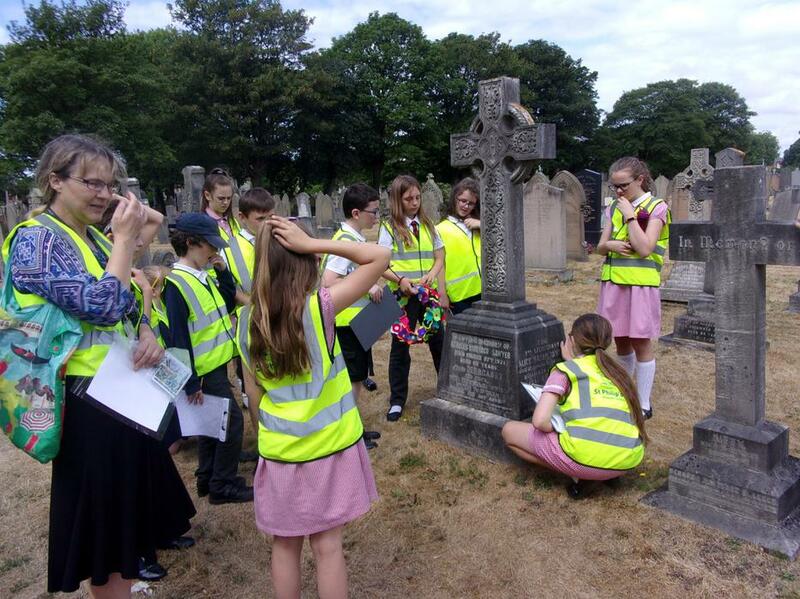 We also did some analysis of litter and traffic and the condition of the different areas of the cemetery and roads around it. 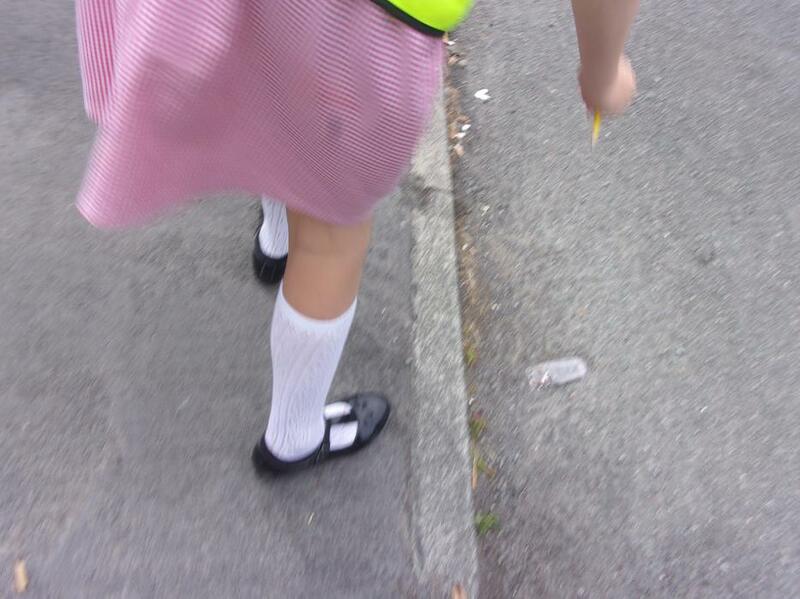 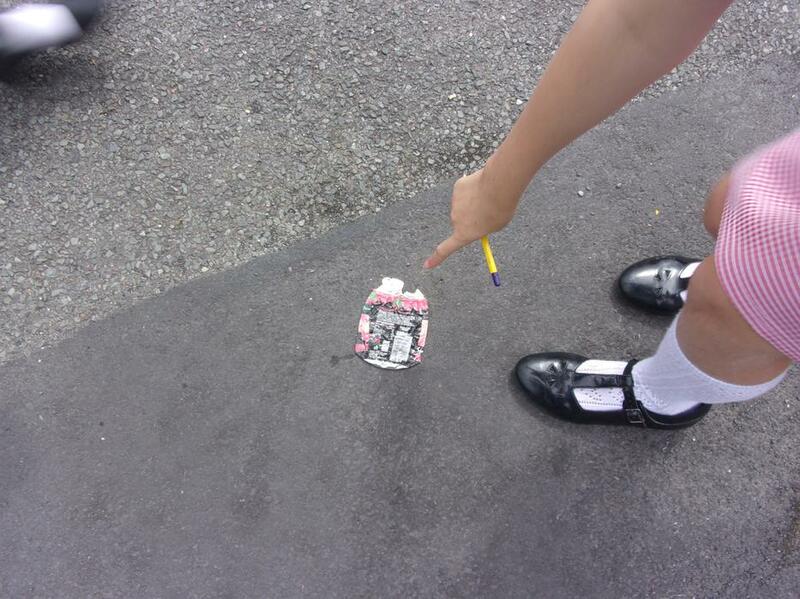 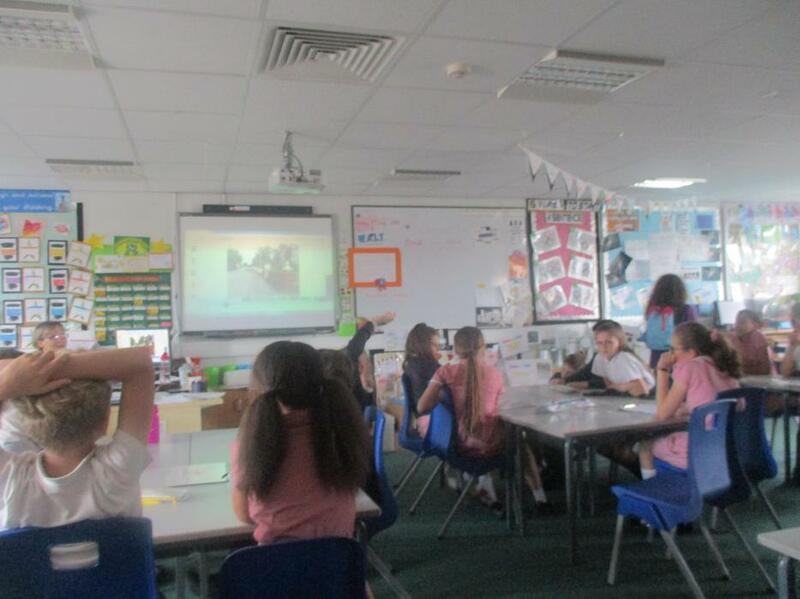 We reported back to the class. 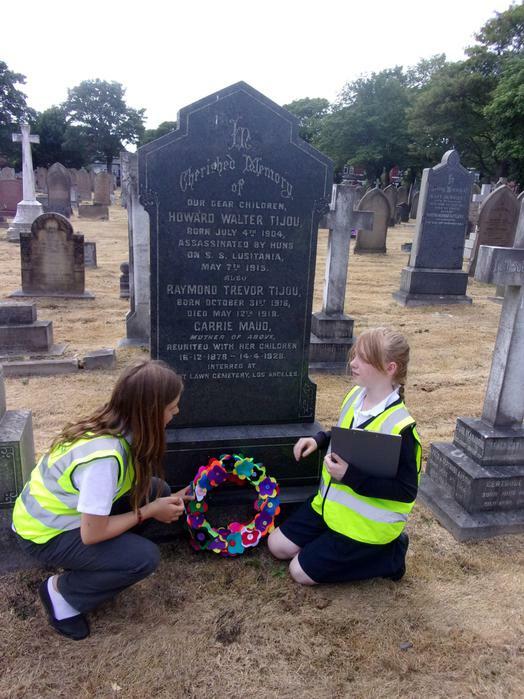 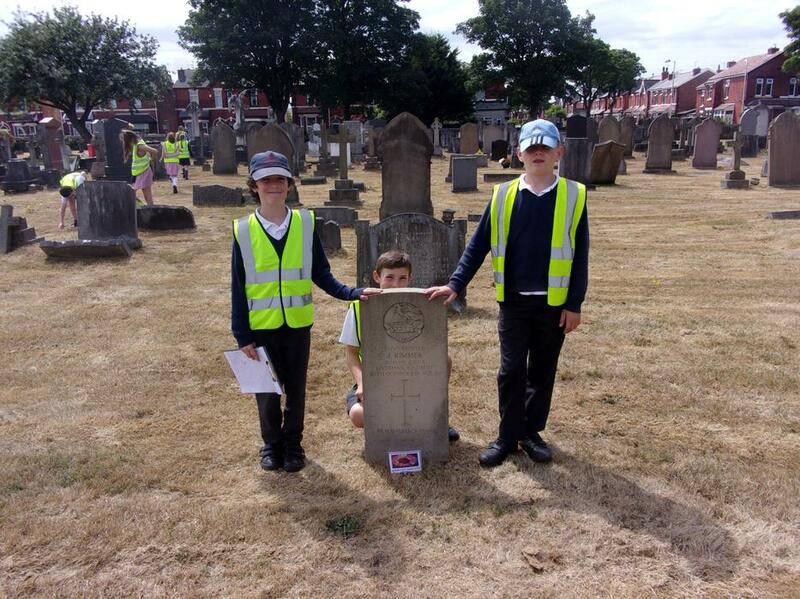 We have been learning about the largely forgotten Labour Corps who served in World War One. 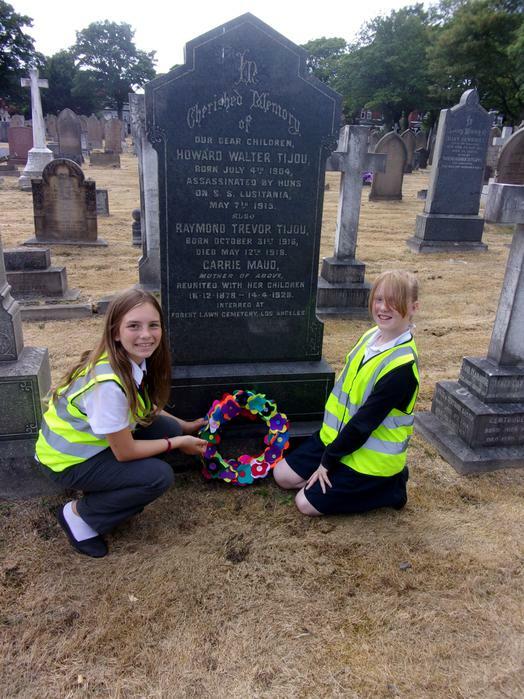 We have made a wreath as part of this nationwide project and sent it in to get a chance of being used in a national remembrance ceremony. 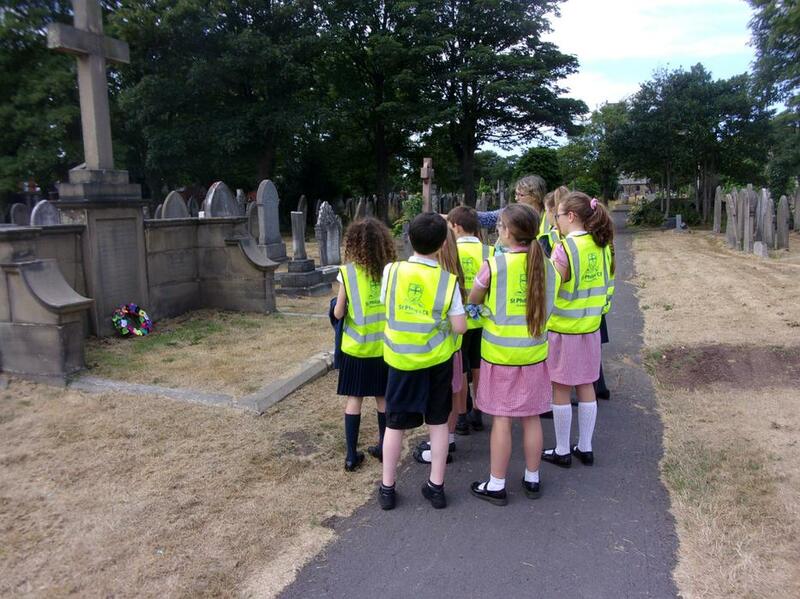 We have visited our local cemetery to see some of the war graves there. 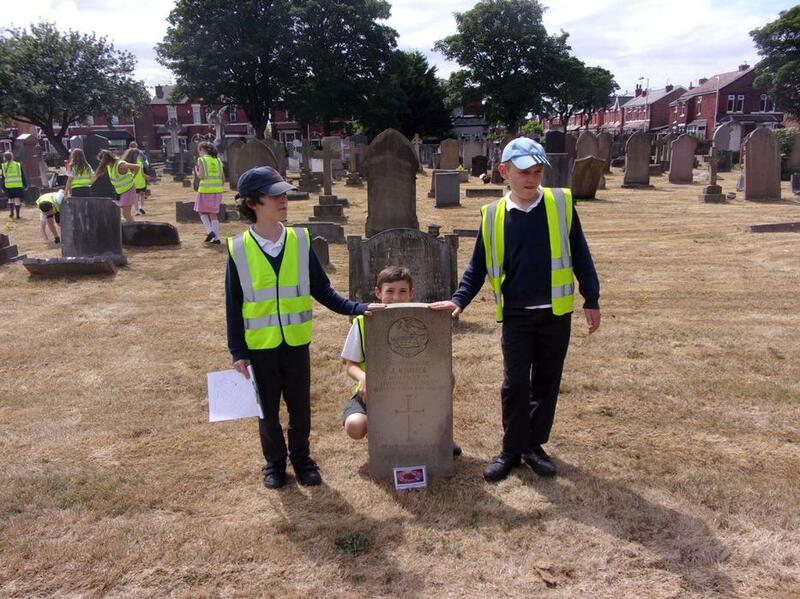 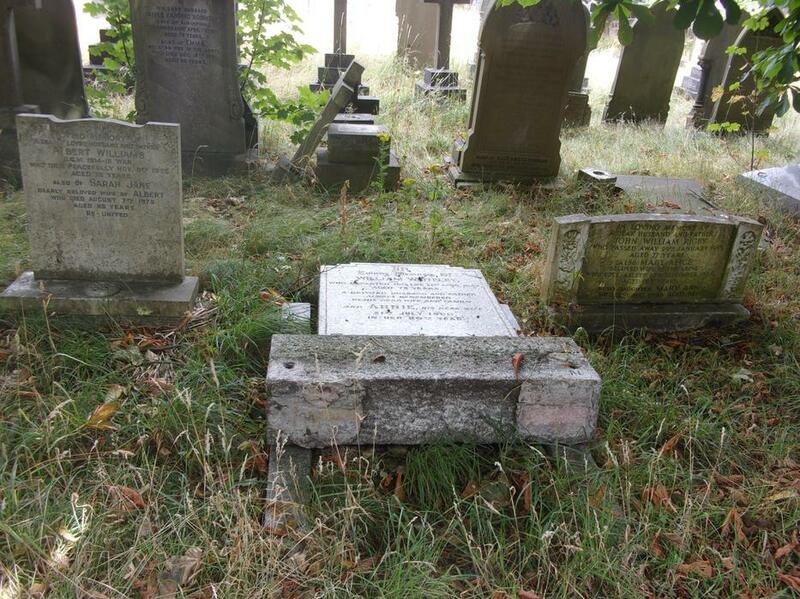 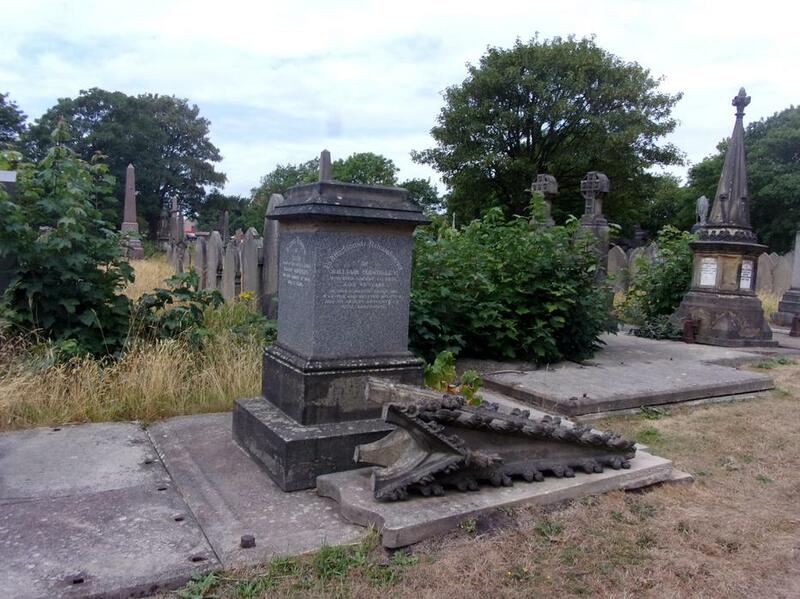 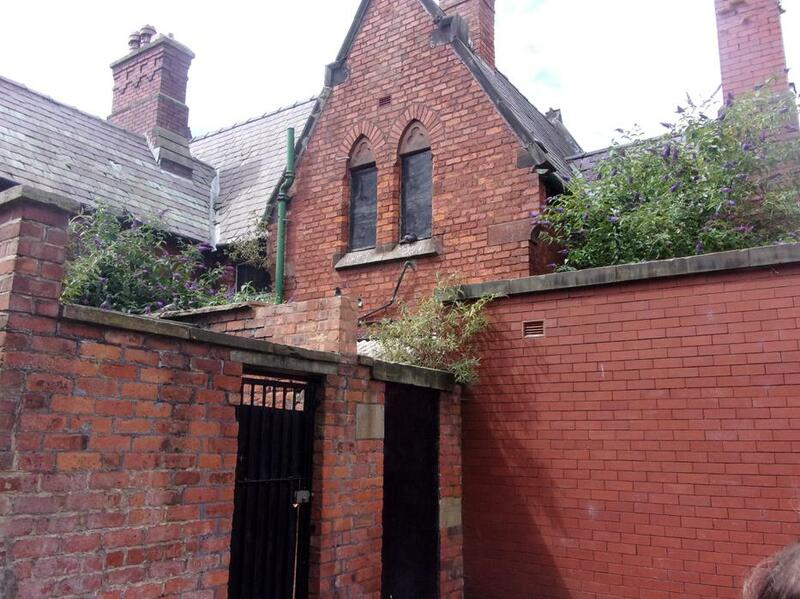 We have found three graves of the Labour Corps so far. 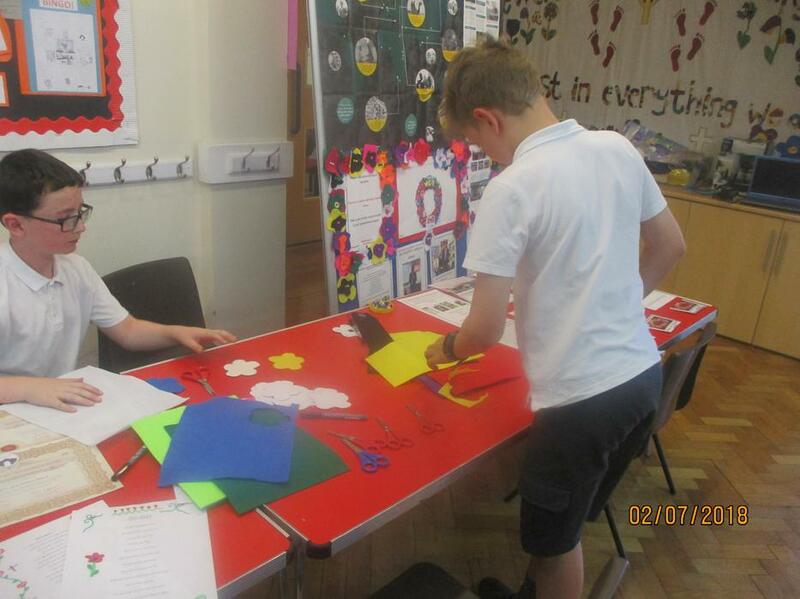 We took our wreath, remembrance cards and we said a remembrance prayer. 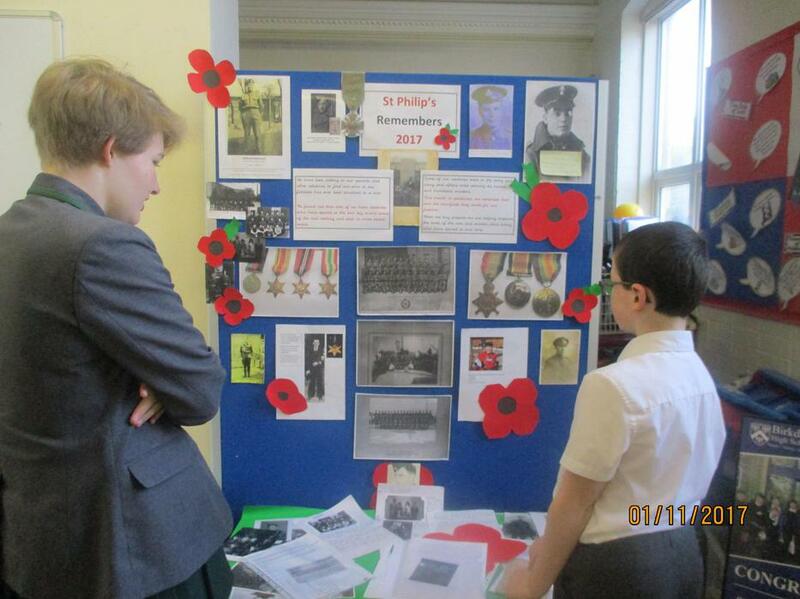 Hands on History exhibition after school today. 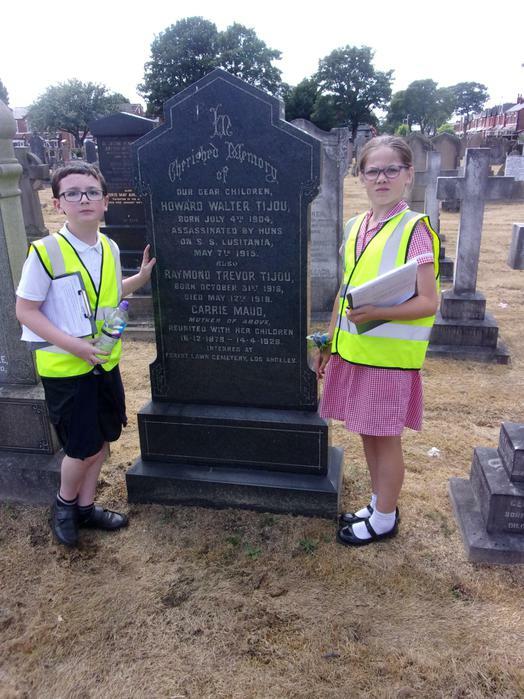 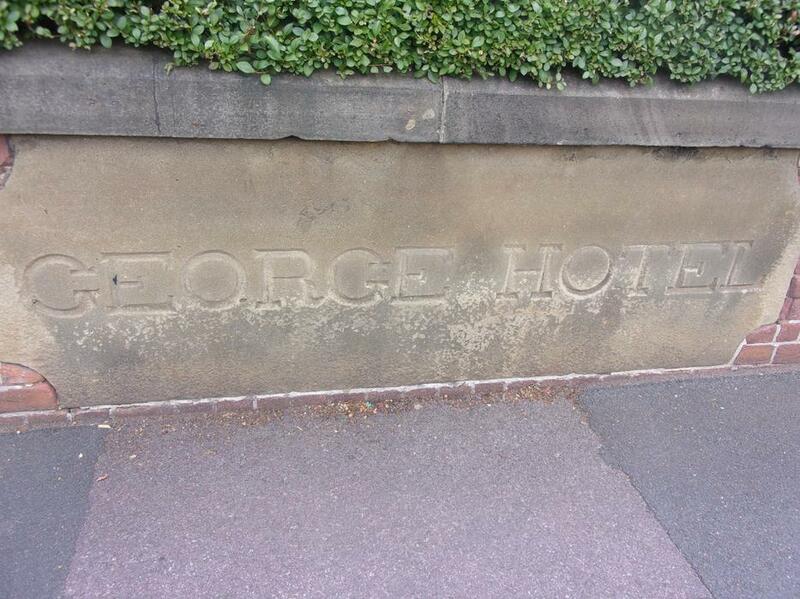 Knowing our history is part of British Values. 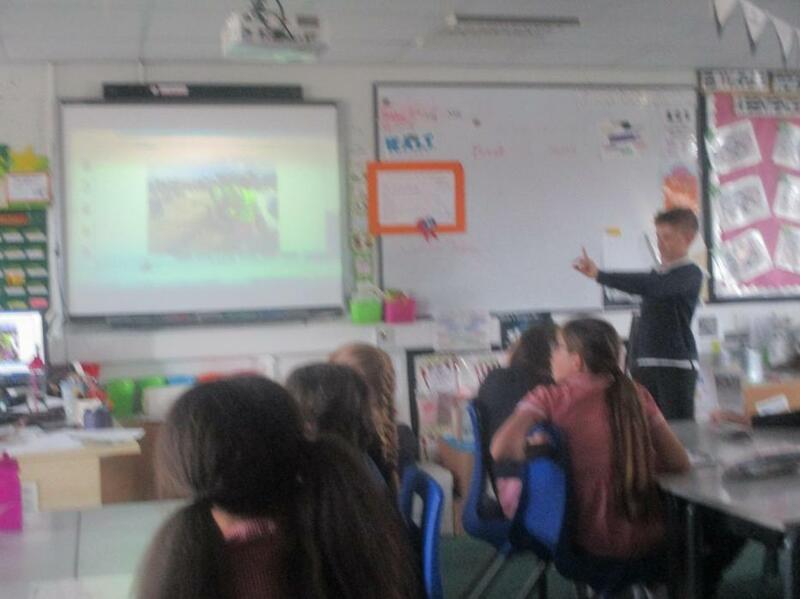 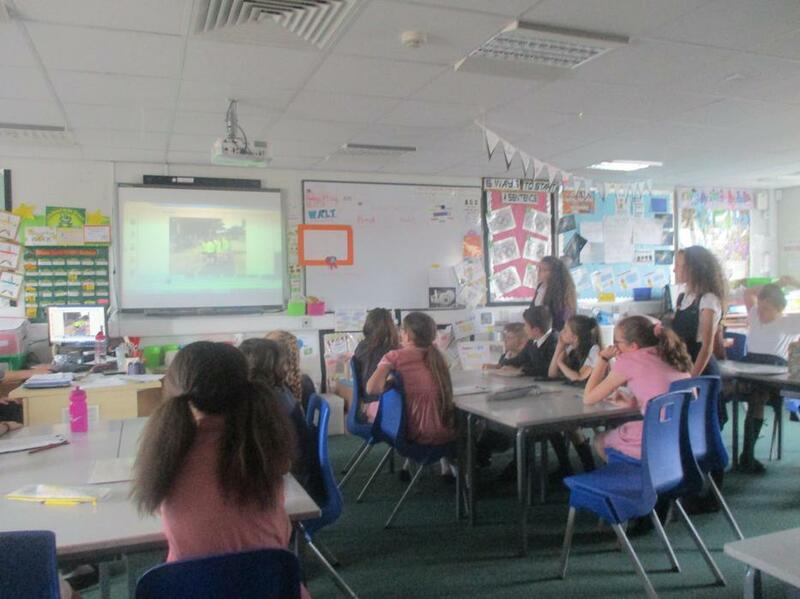 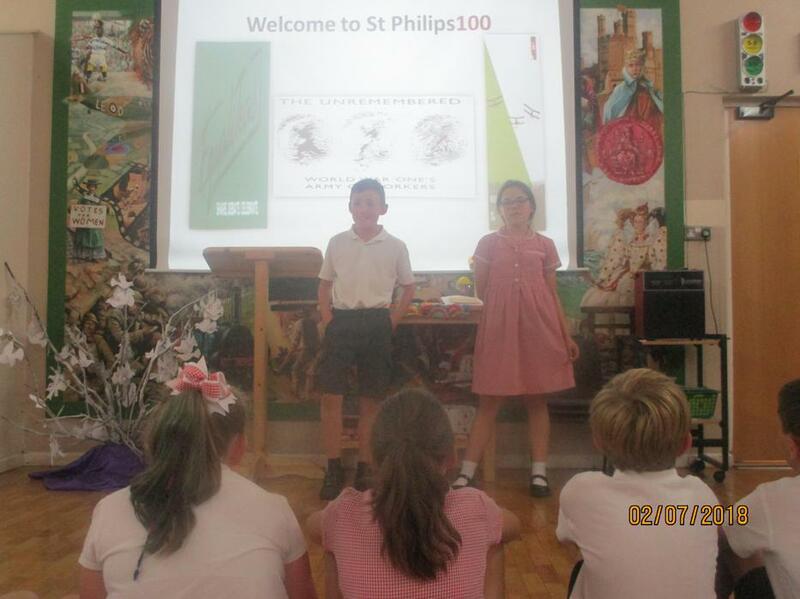 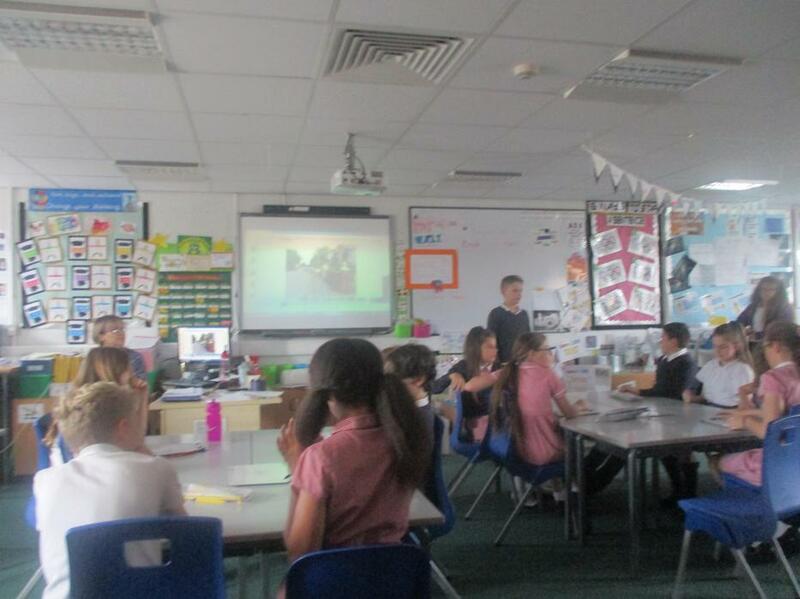 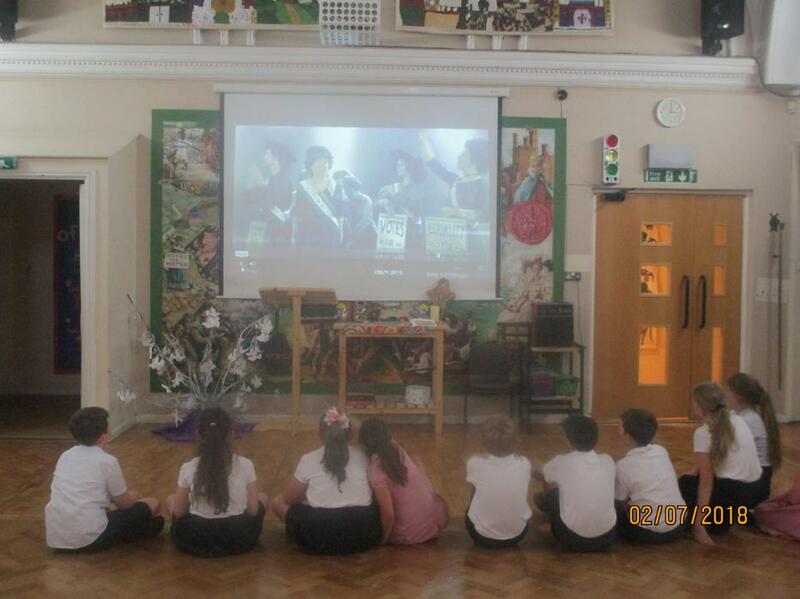 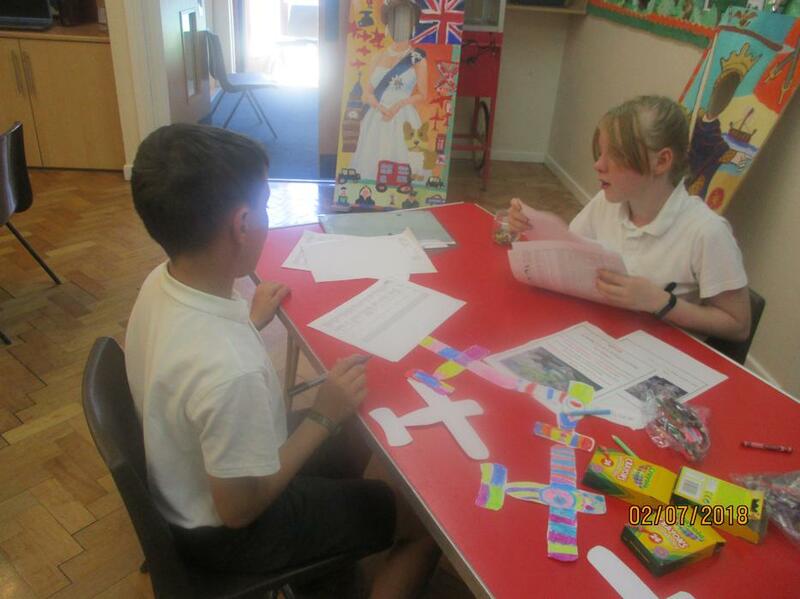 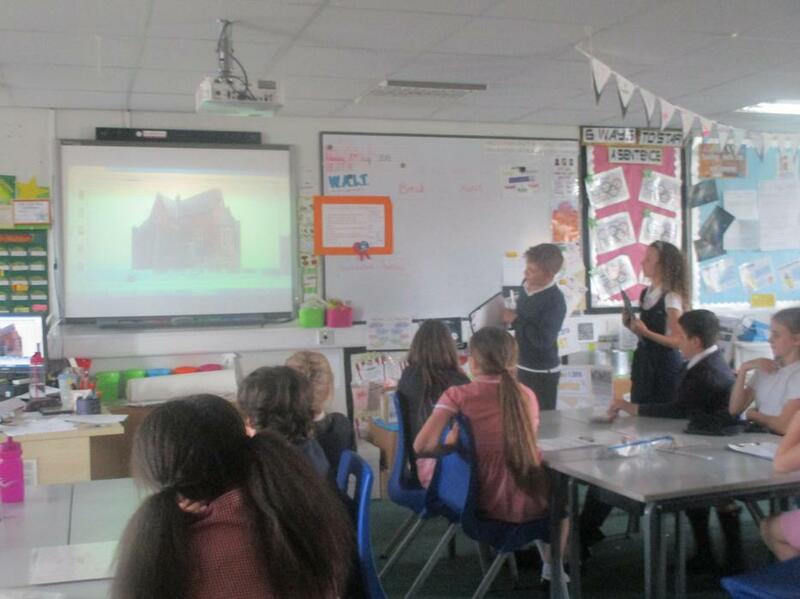 Year 6 led a school worship time about the history of Britain since the Stone Age. 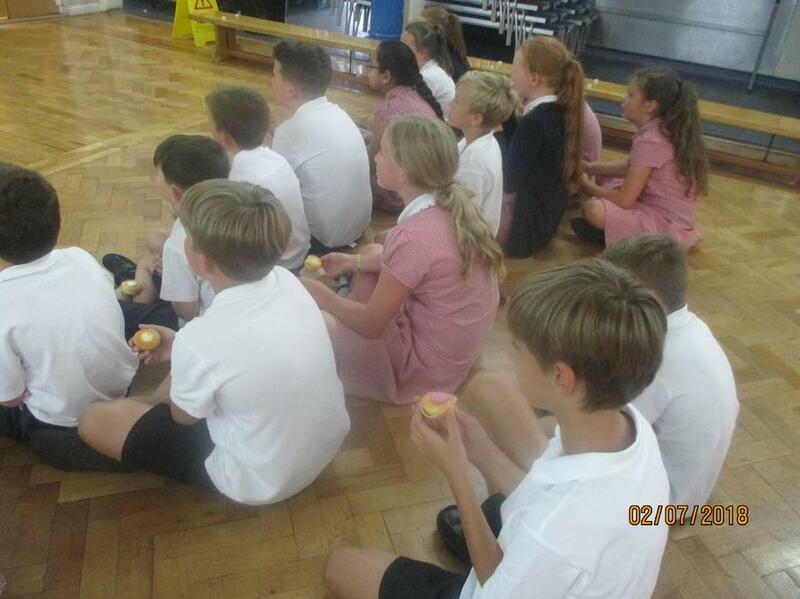 We finished with a prayer asking God to help us appreciate all the comforts that we have today. 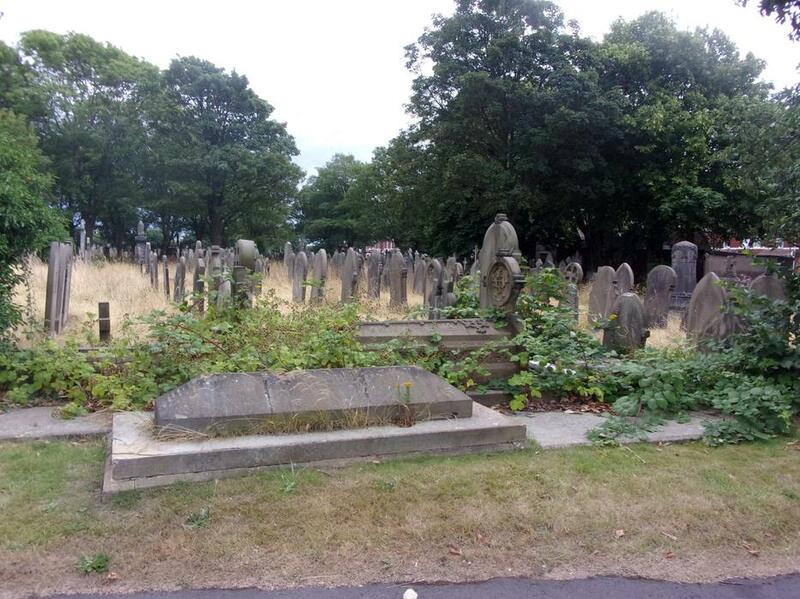 For most of human history, most lives have been much harder than they are today. 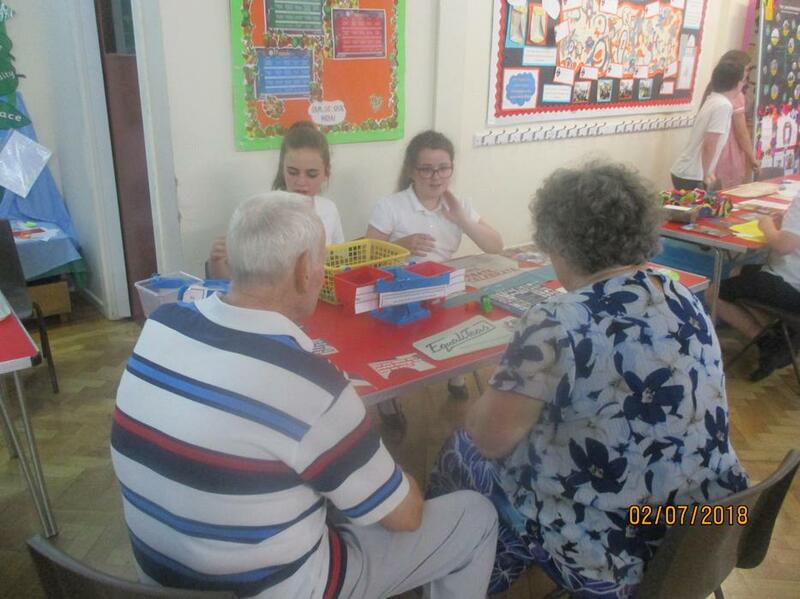 Ambassadors are still helping the Infants learn about history. 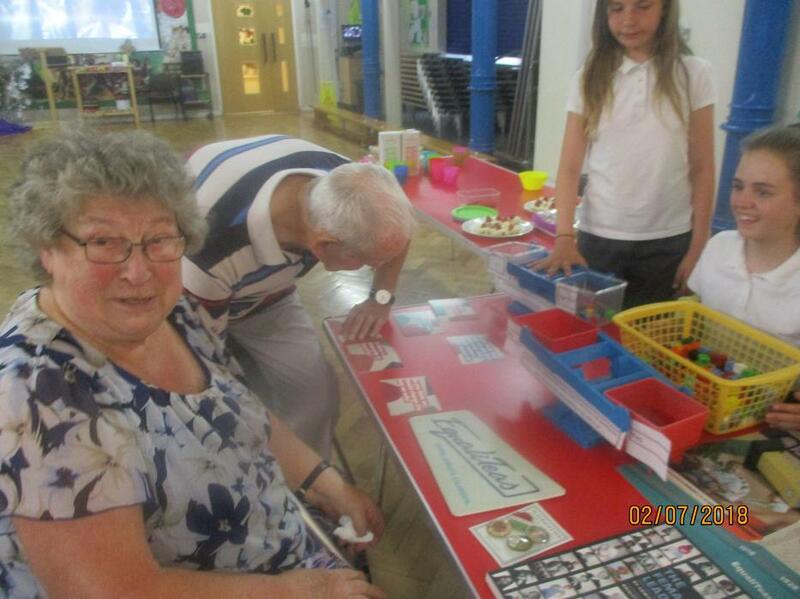 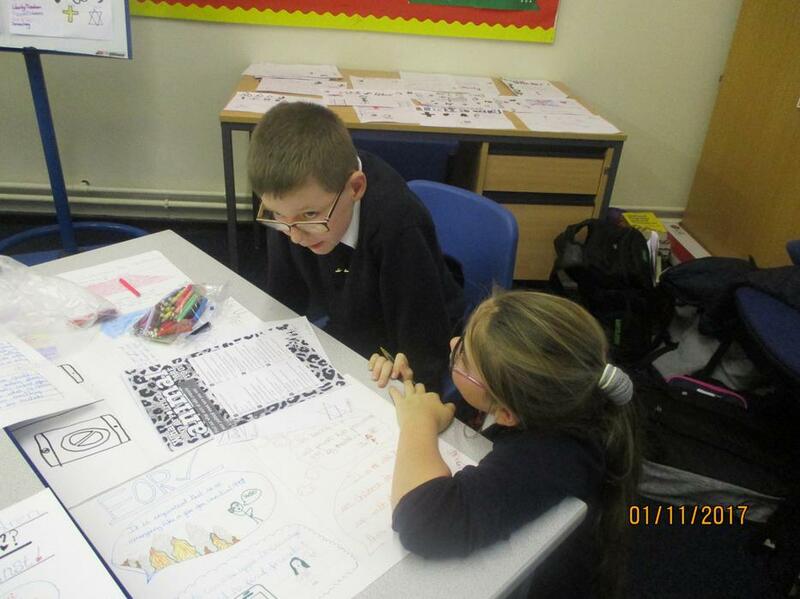 They are looking at The Town book as Chronology Buddies but there are new games now as well. 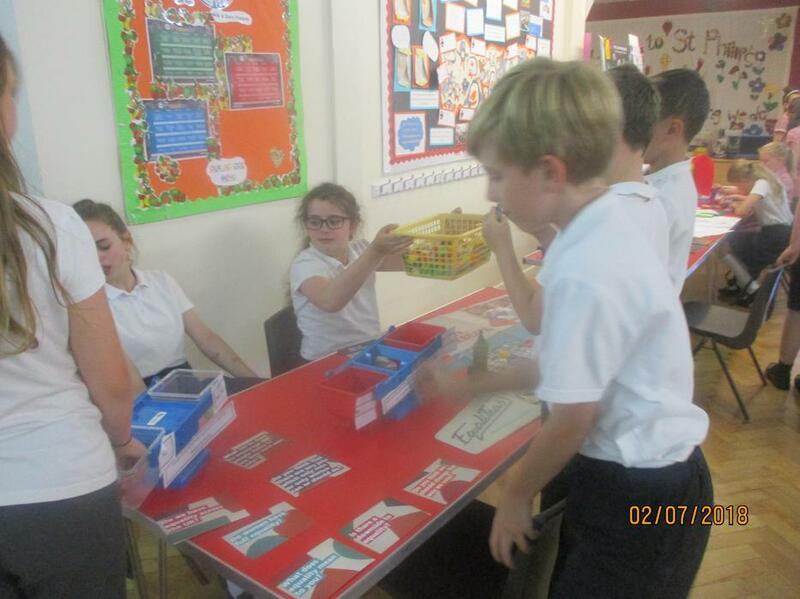 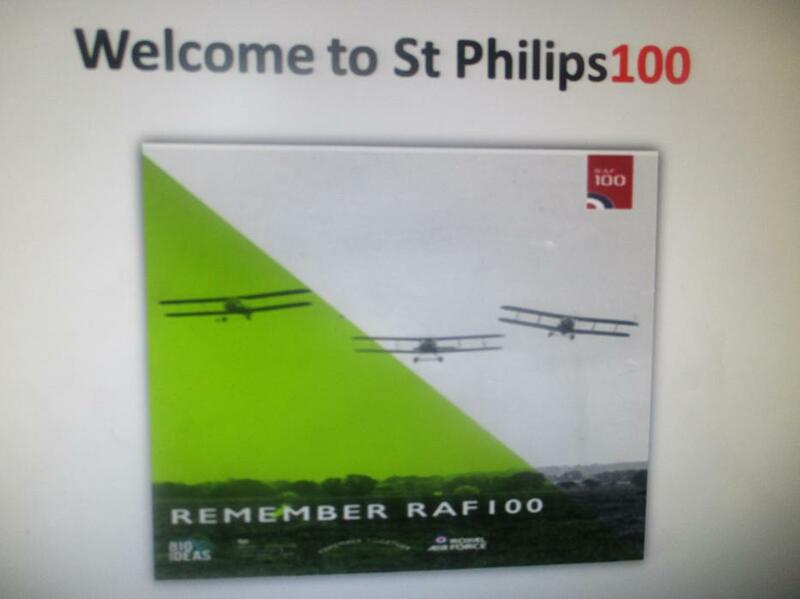 We have Brainbox, sets of historical snap cards and 'Lift the flap' books. 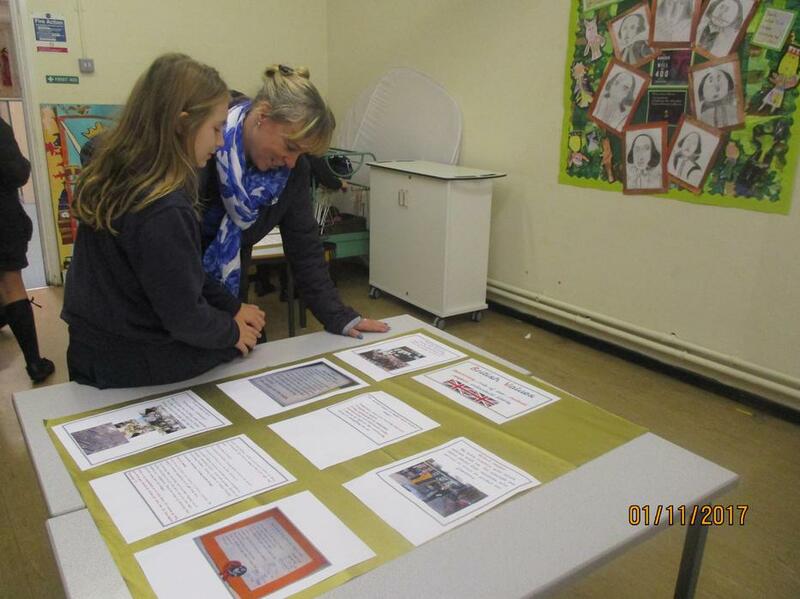 History Ambassadors are keeping busy. 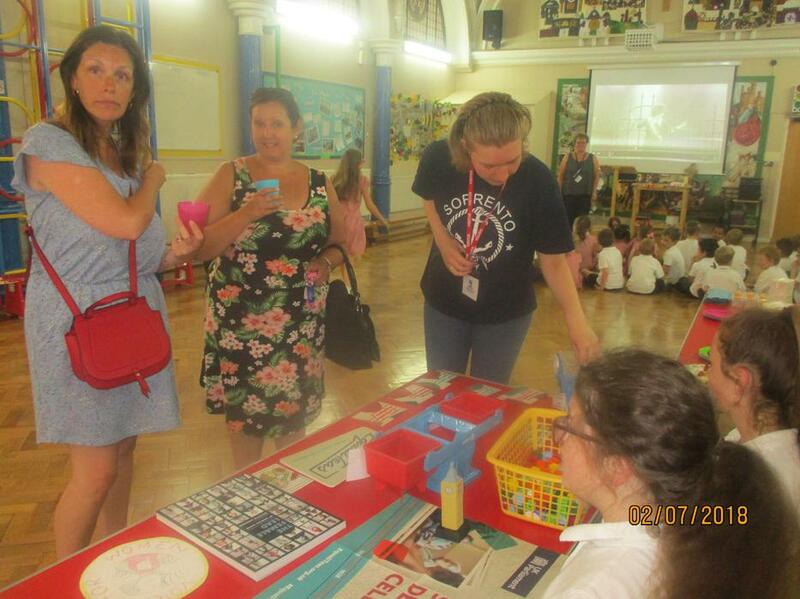 They have been visiting the Infant Classes in historical costumes so that the children can ask questions about who they are supposed to be and what life was like in the past. 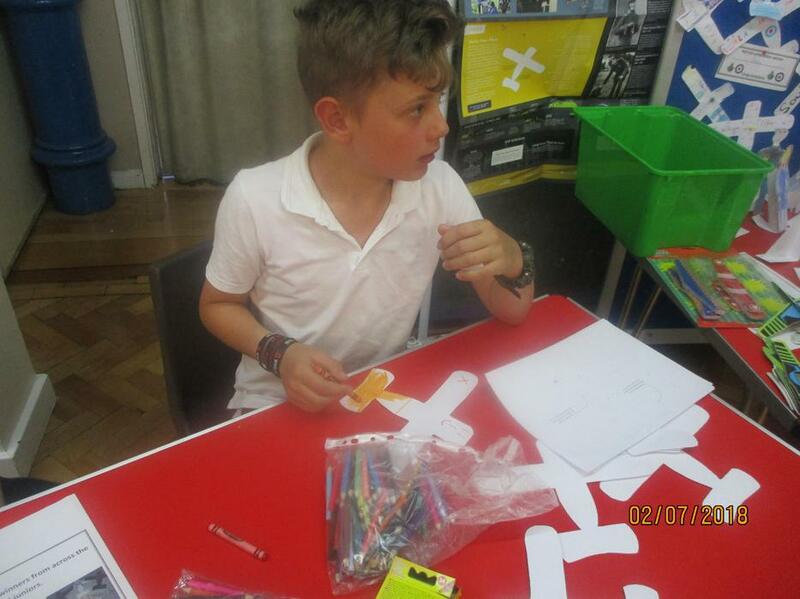 Year 2 pupils come on Thursday to work with the Chronology Buddies and get a sticker for giving answers to questions about how a town grew from the Stone Age to now. 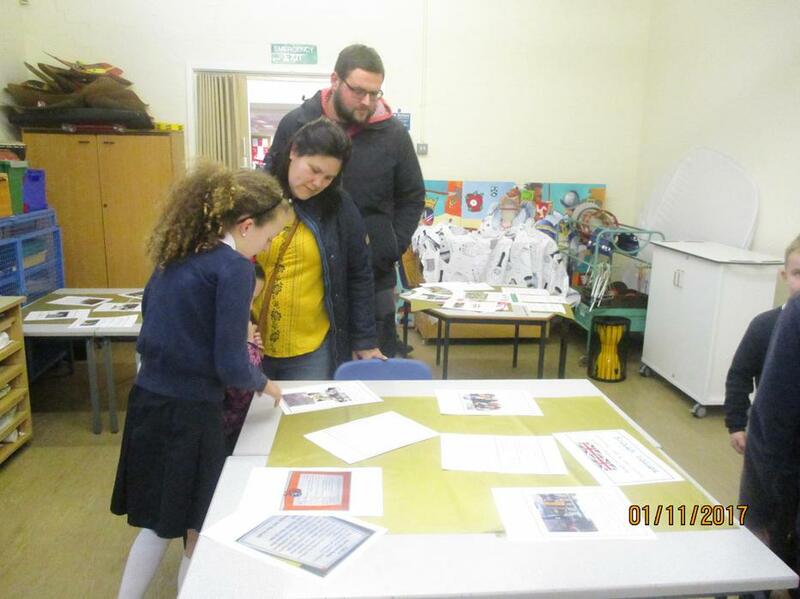 They do other things too like castle jigsaws and spot the mistake in history pictures. 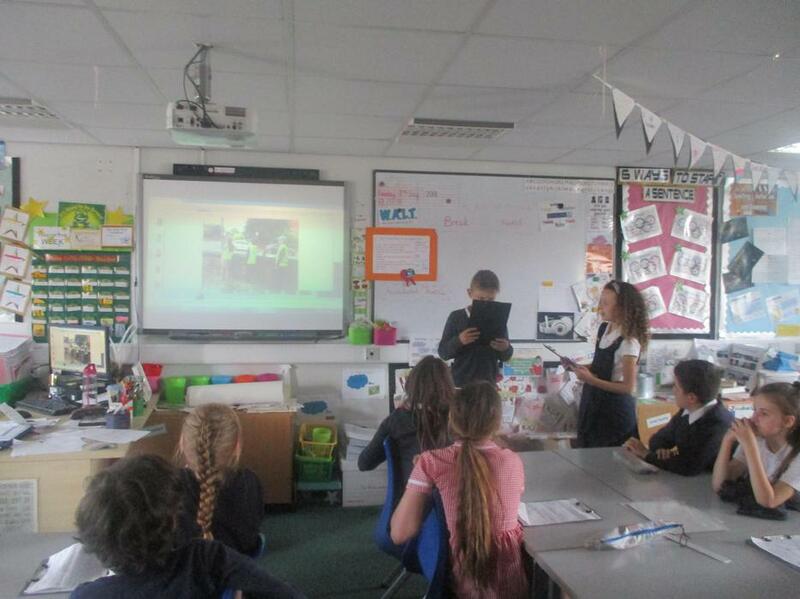 They dressed as Native Americans and expertly answered the searching questions Year 6 posed about this culture. 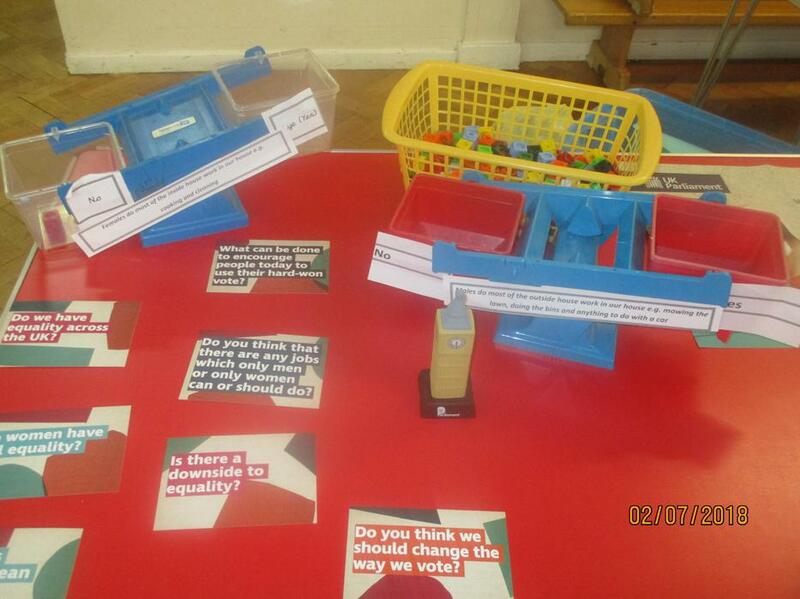 They then visited the Infant and Reception classes so that the pupils there could practice the history skill of asking relevant questions. 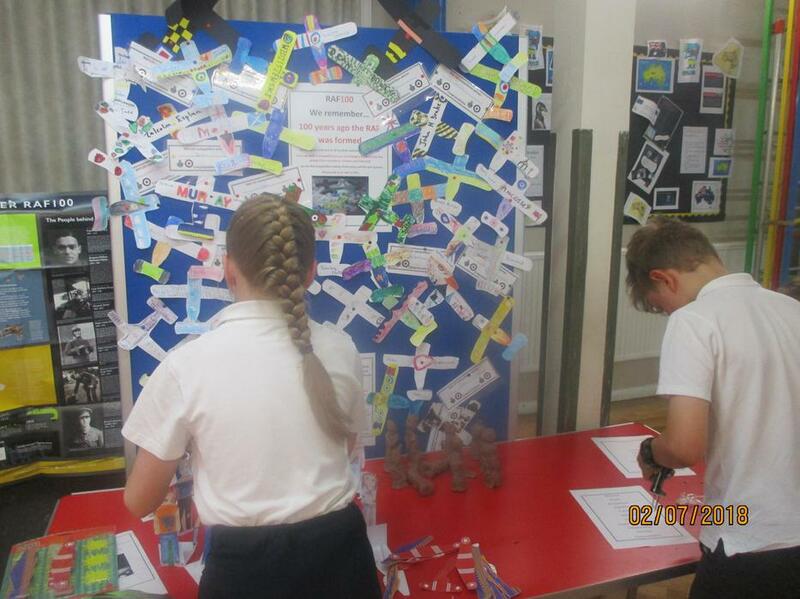 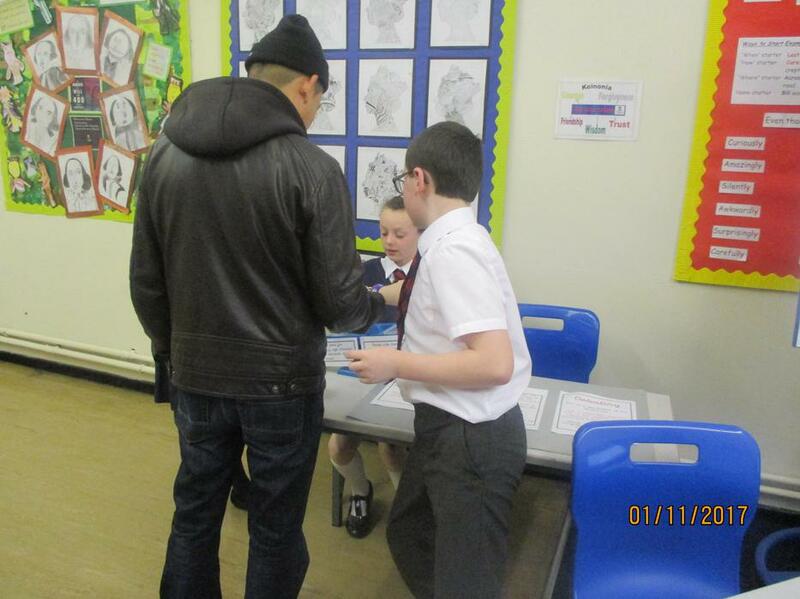 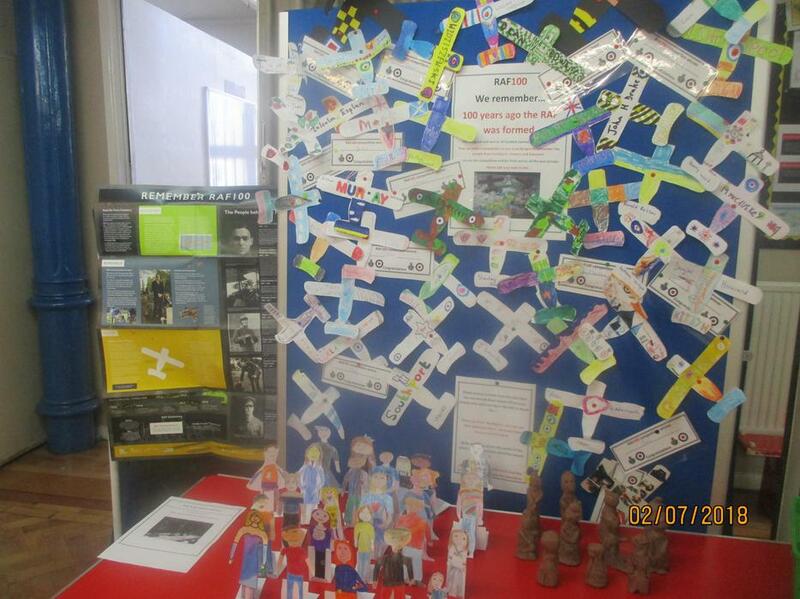 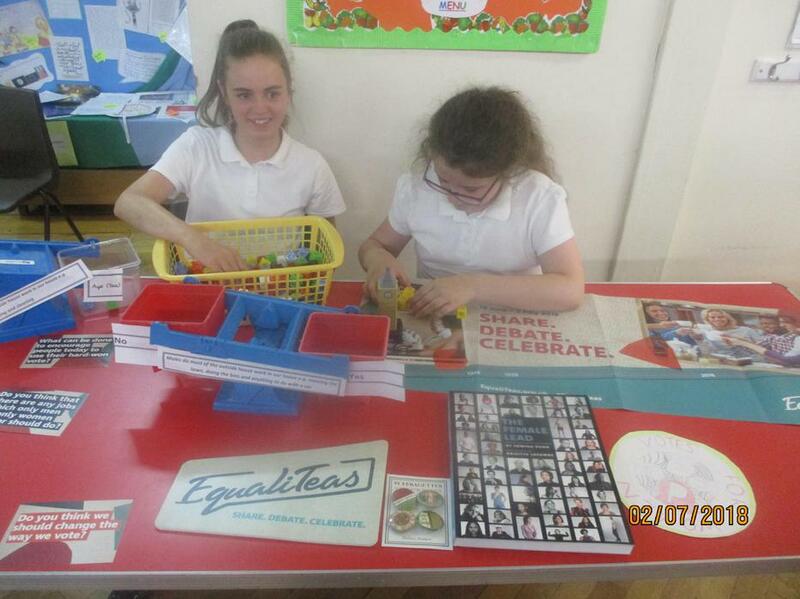 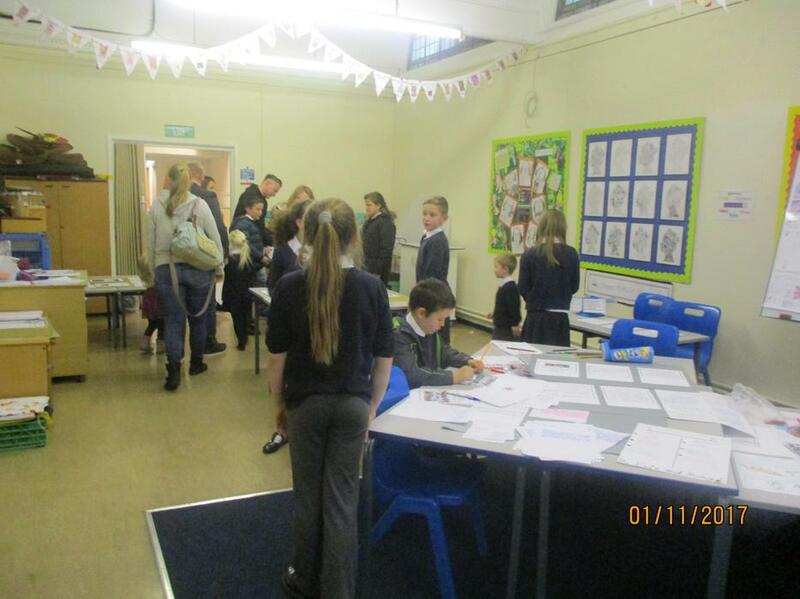 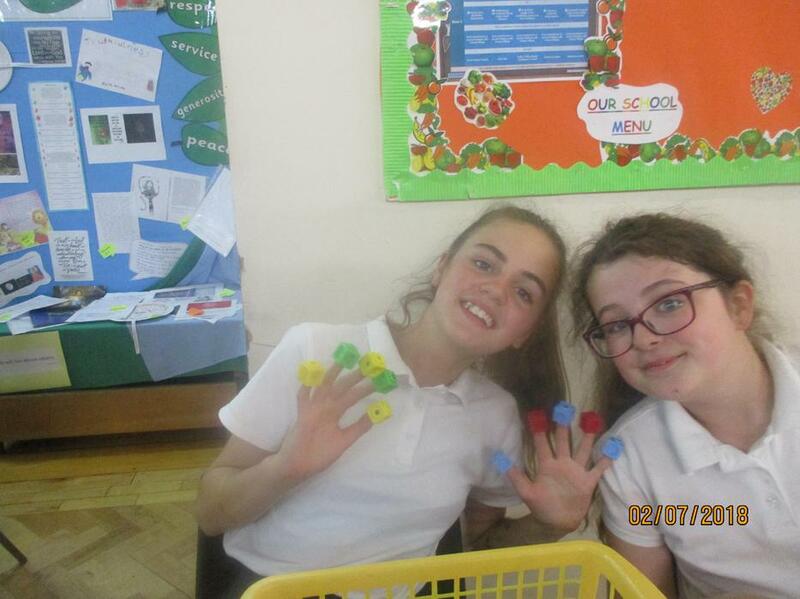 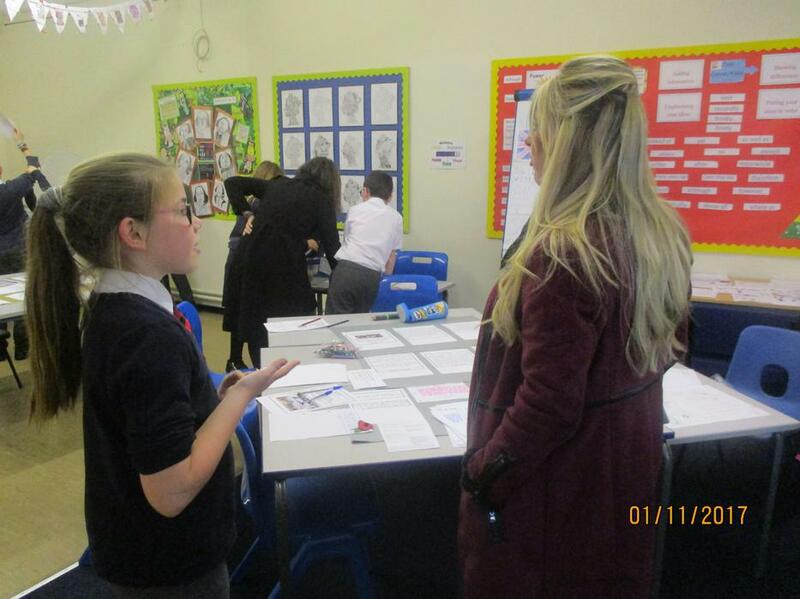 A huge thank you to all those Year 6 pupils who acted as guides during our British Values Exhibition last week. 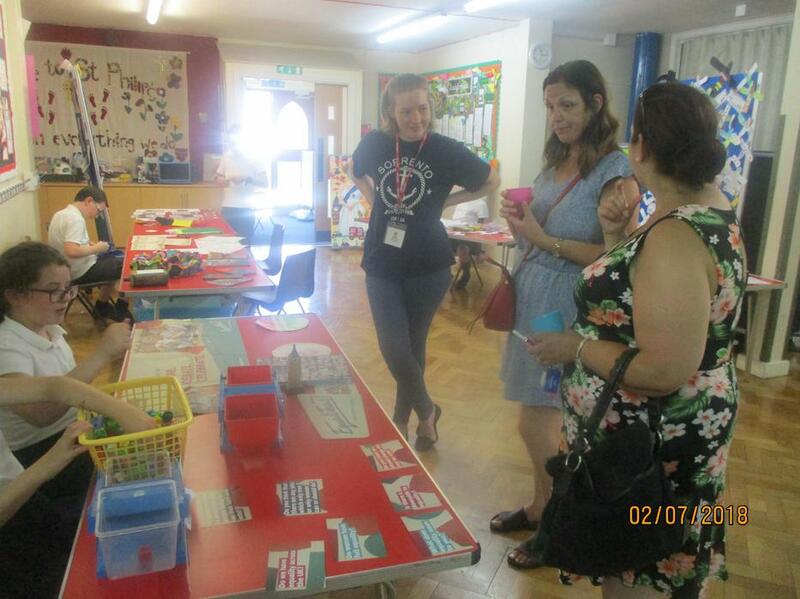 Visitors were impressed by your confidence and knowledge. 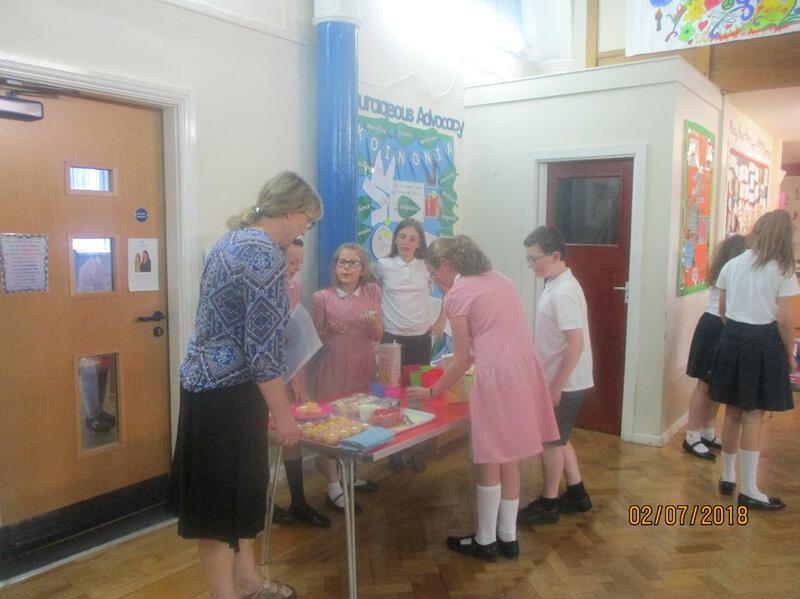 See below for a slide show from the first evening. 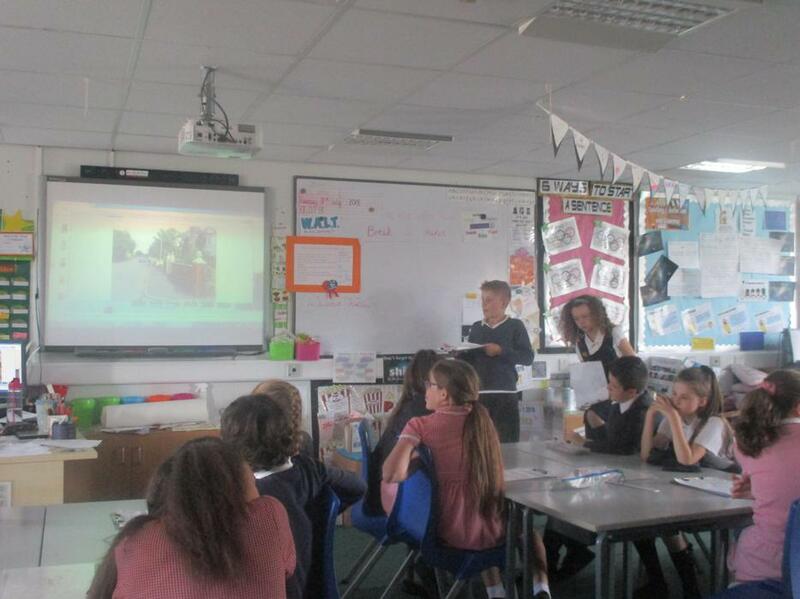 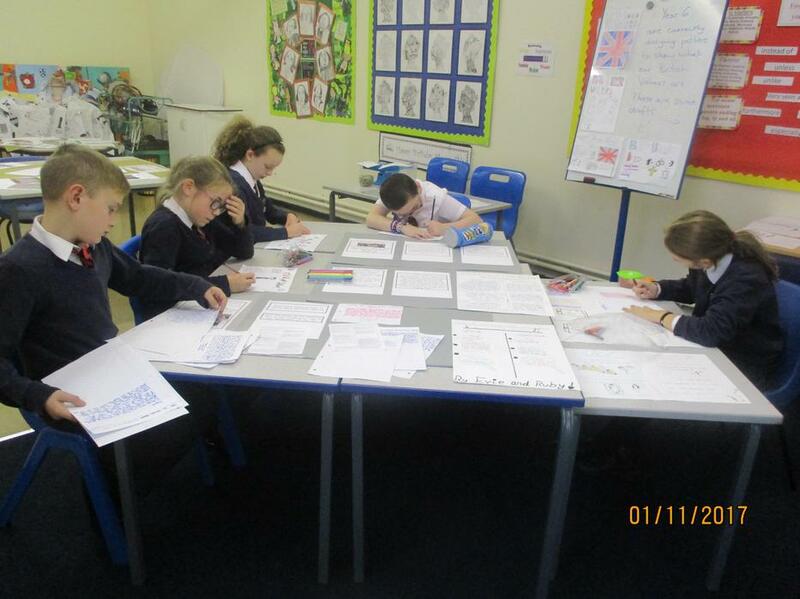 Some pupils from Year 6 and Year 5 are working towards becoming History-Democracy Ambassadors. 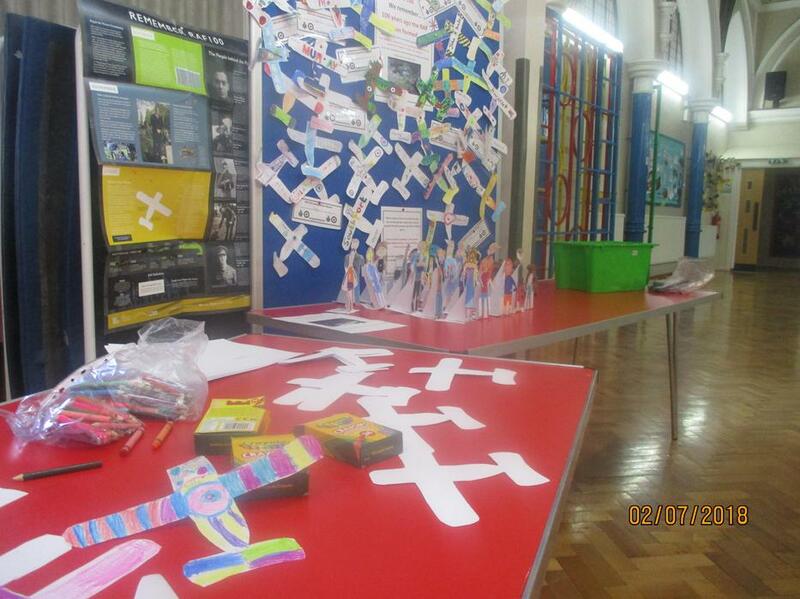 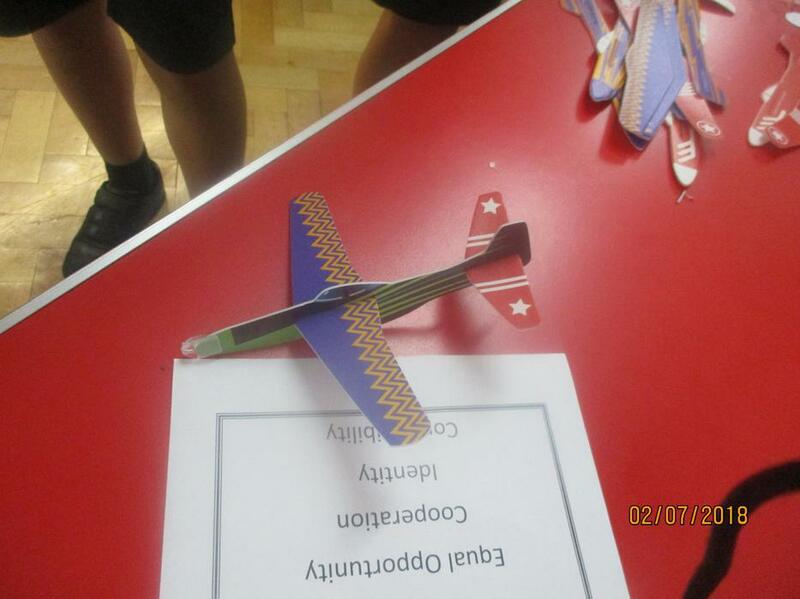 This means that they do all kinds of activities to help promote History and Democracy across the school. 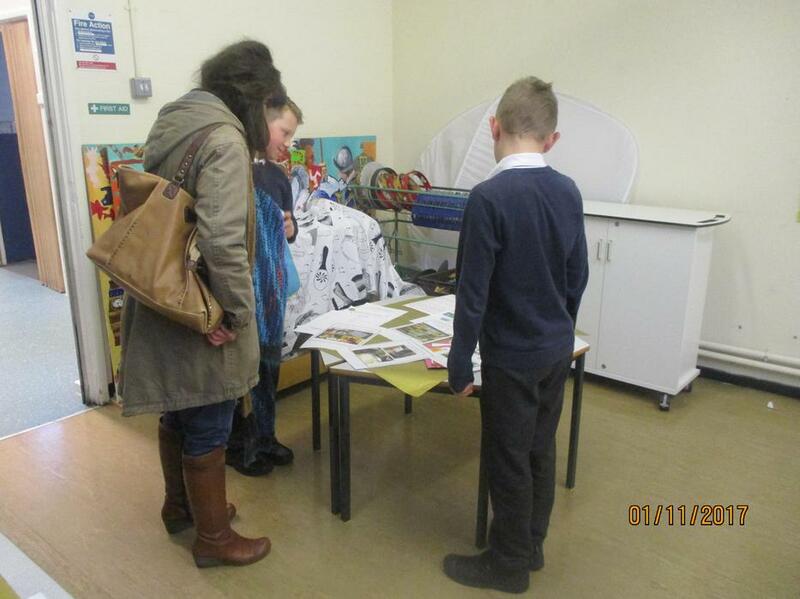 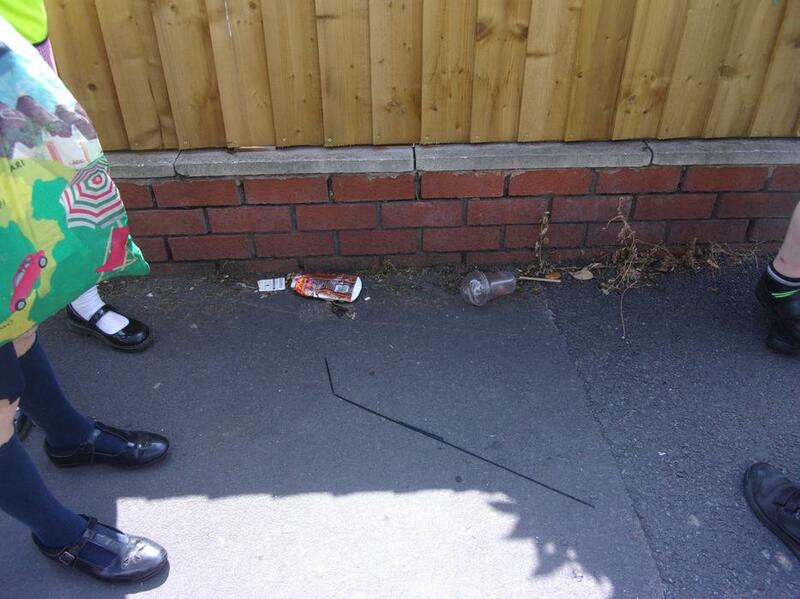 This could be organising resources, competitions and activities. 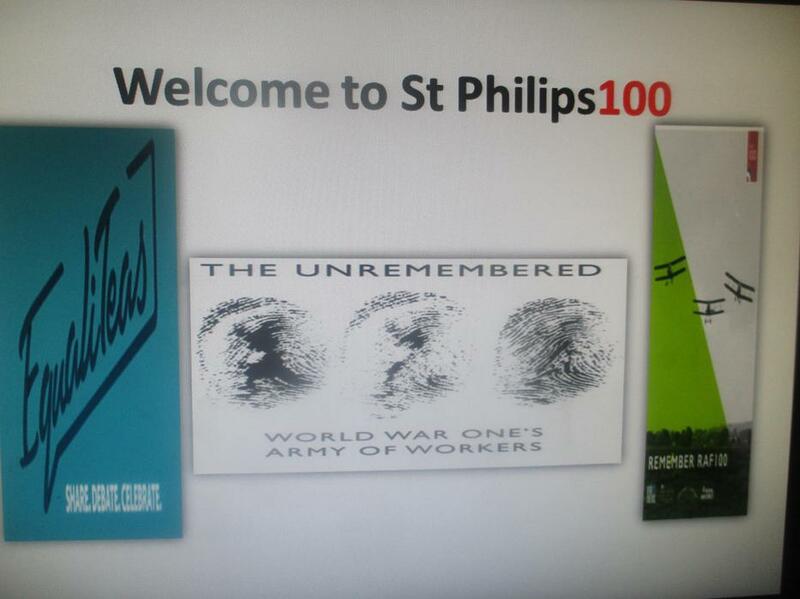 It could be designing certificates. 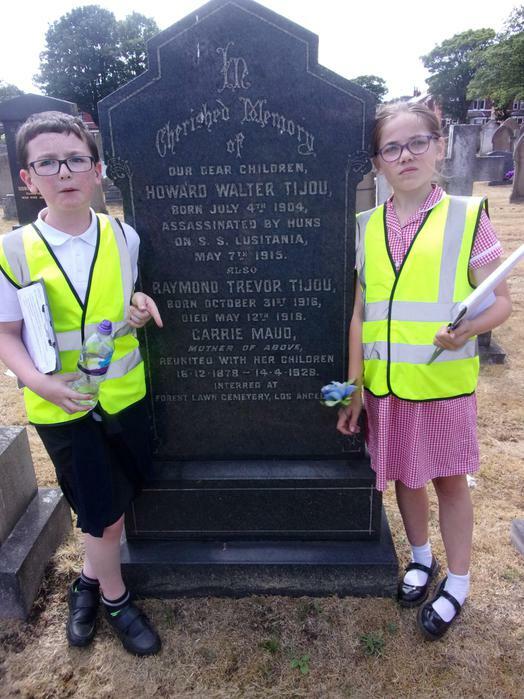 It could be training and working as Chronology Buddies. 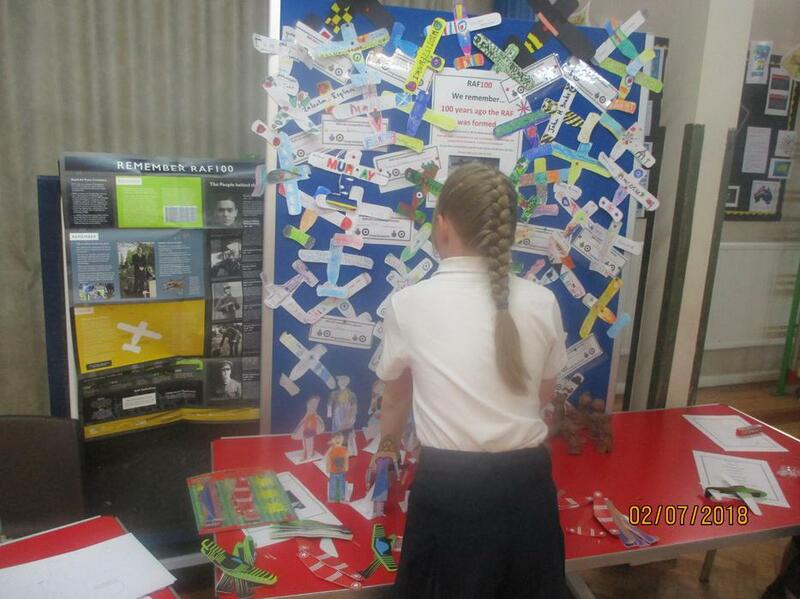 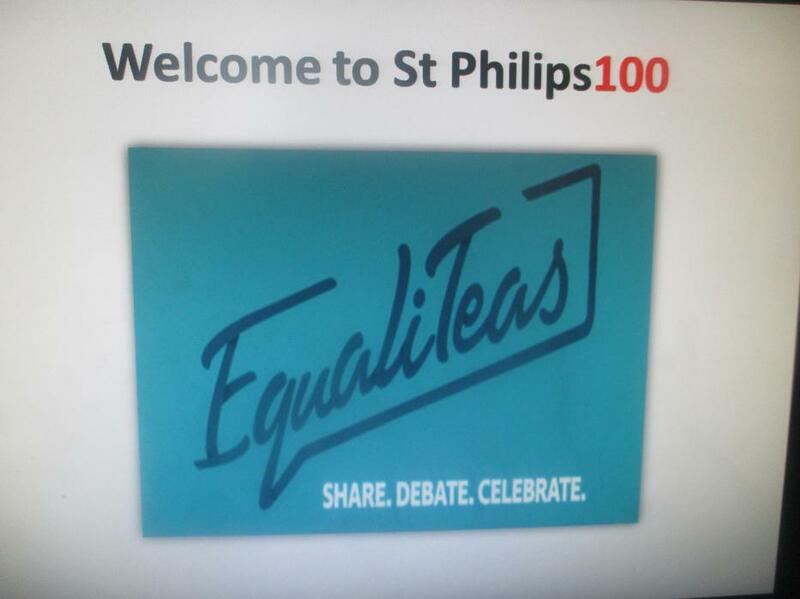 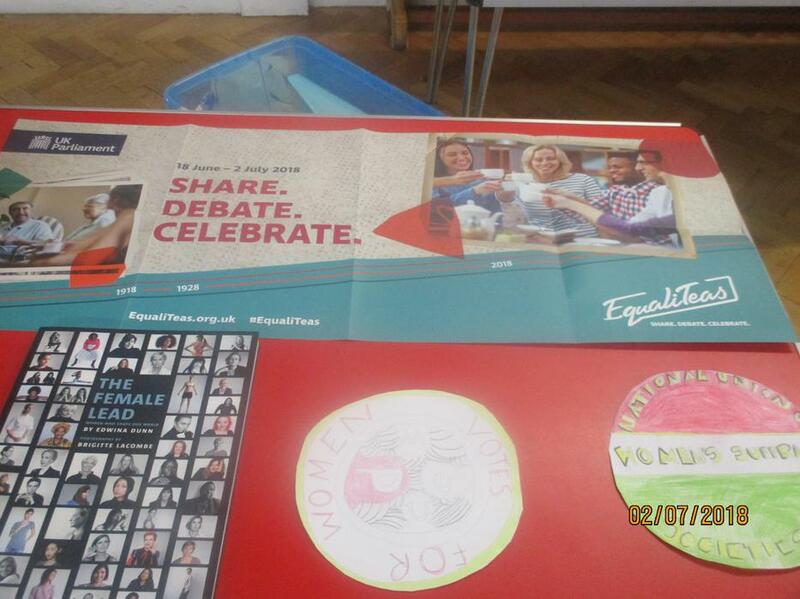 It could be organising and hosting our Parliament Week exhibition and assembly. 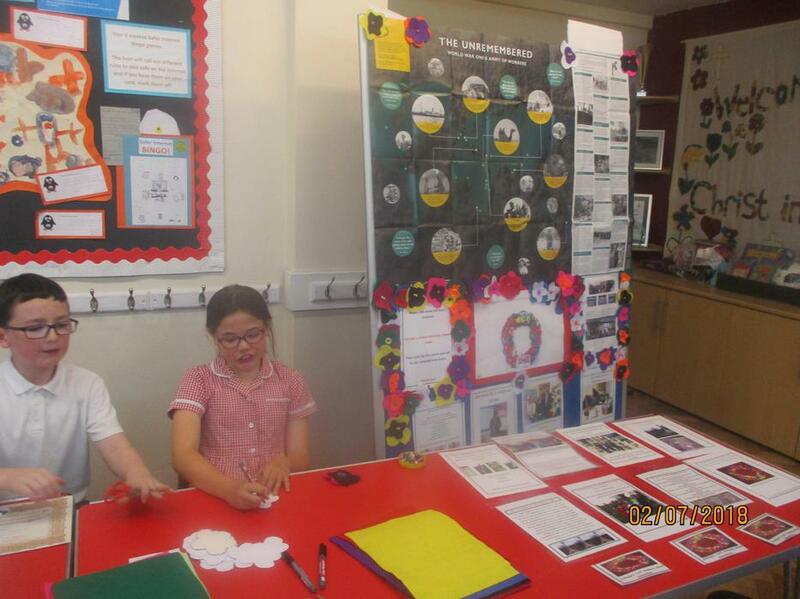 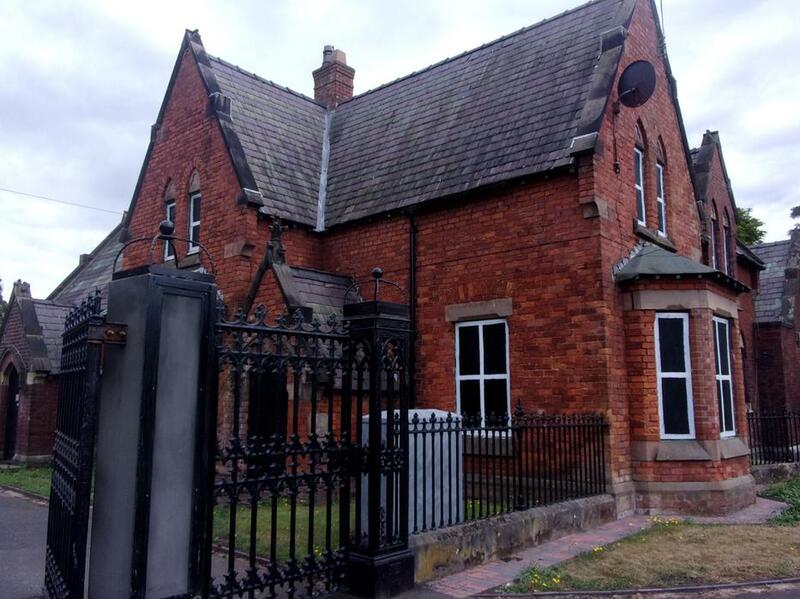 See below for photos of what we have been doing.